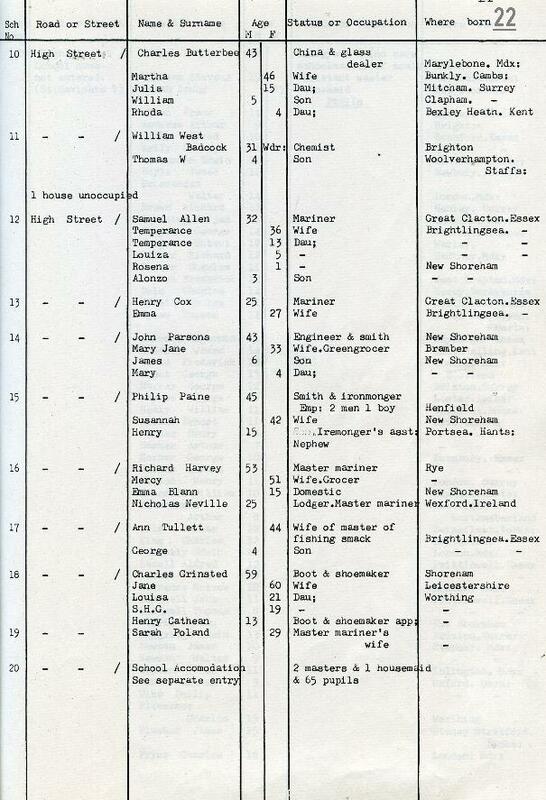 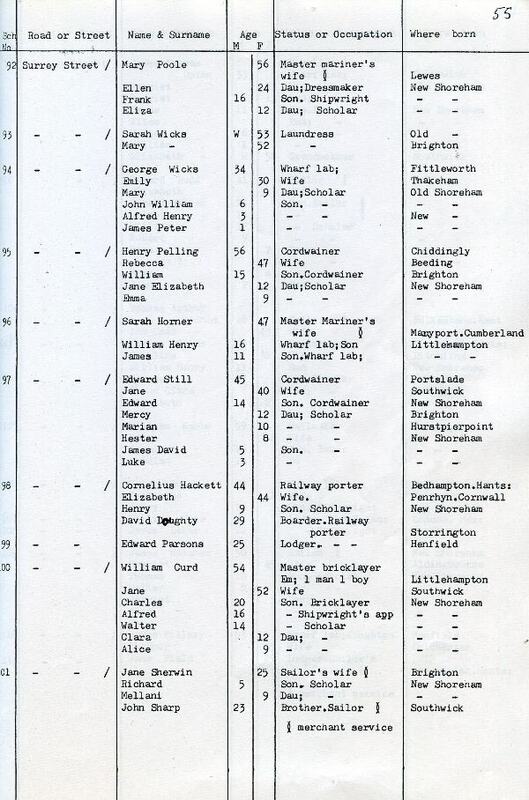 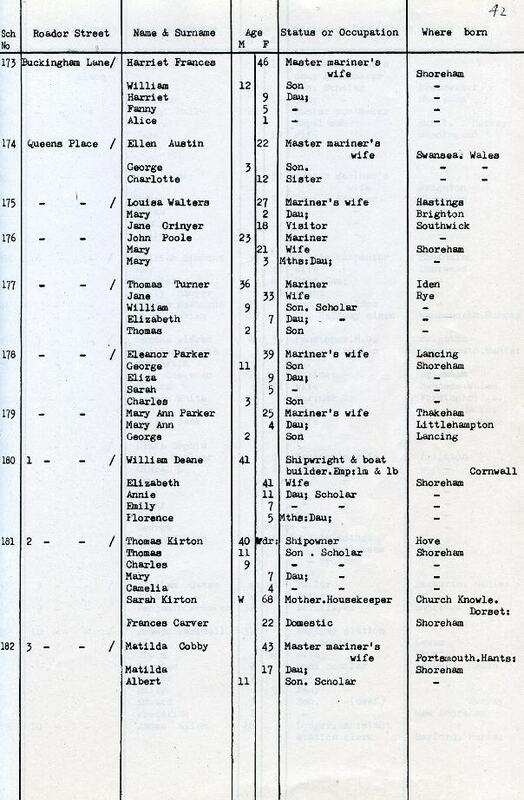 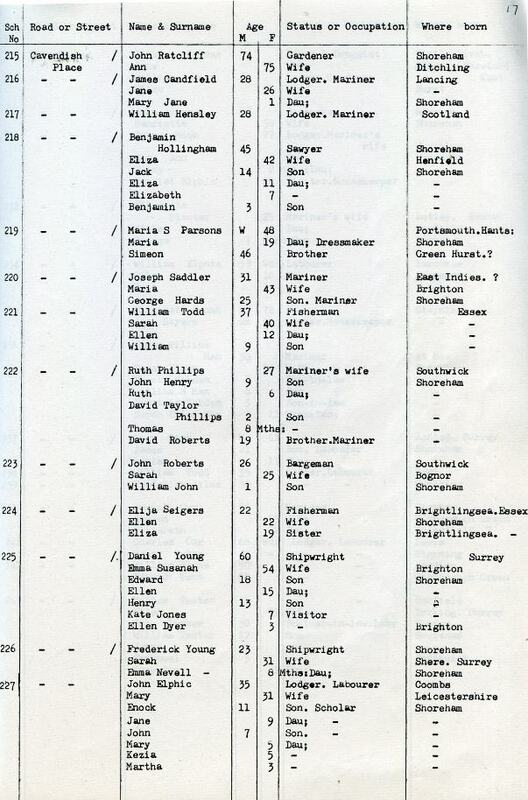 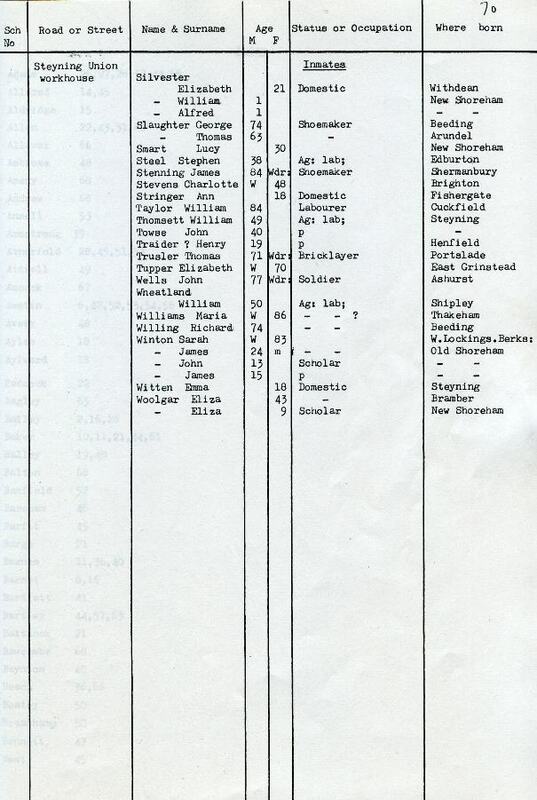 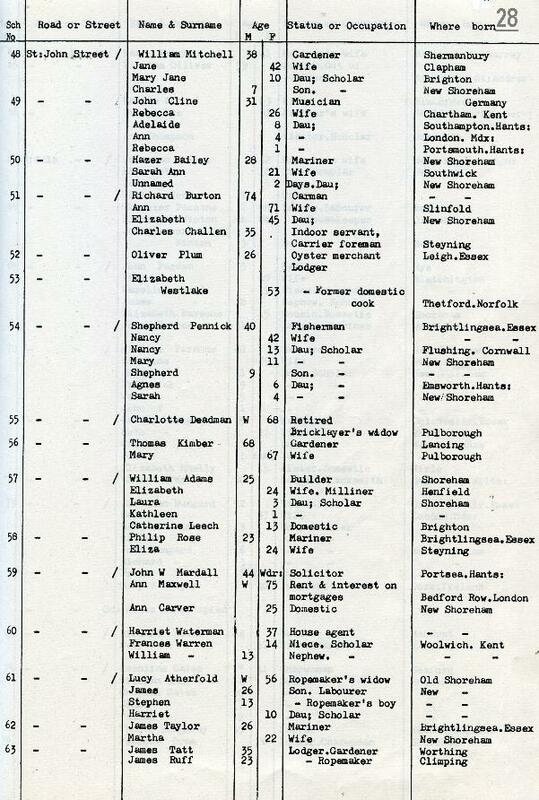 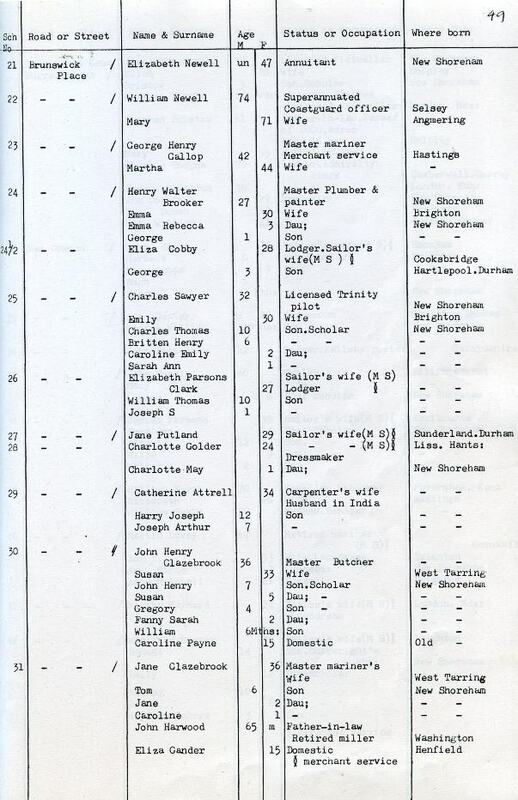 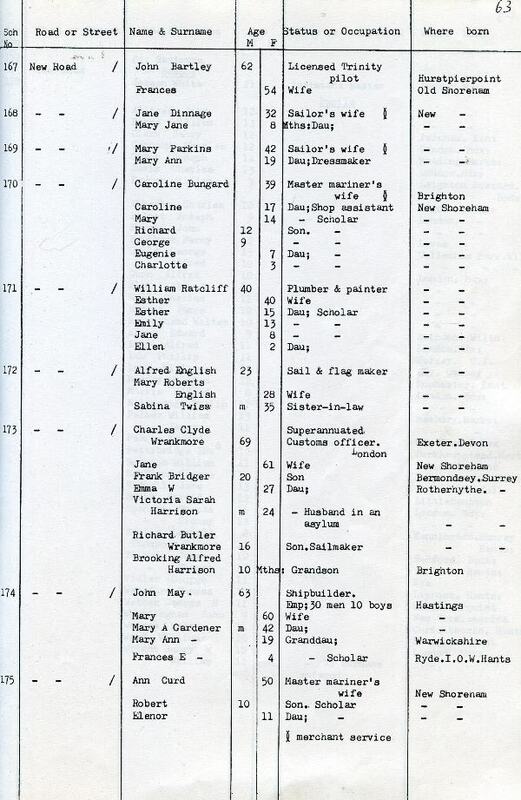 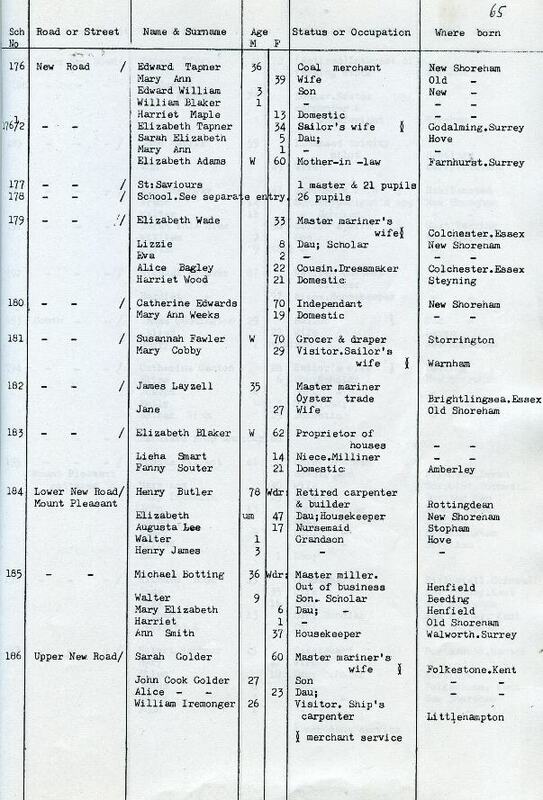 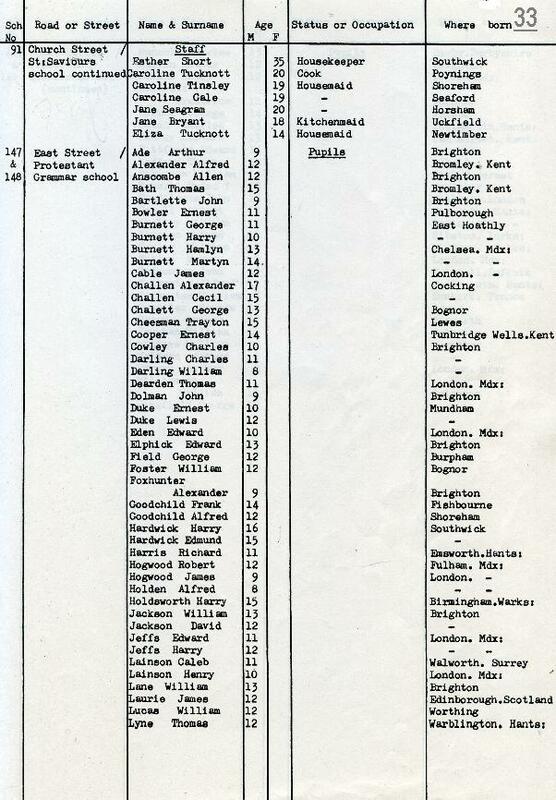 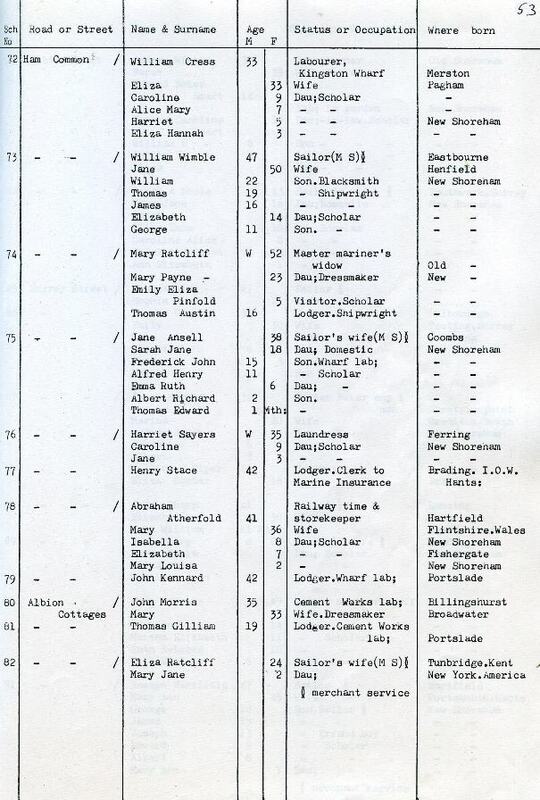 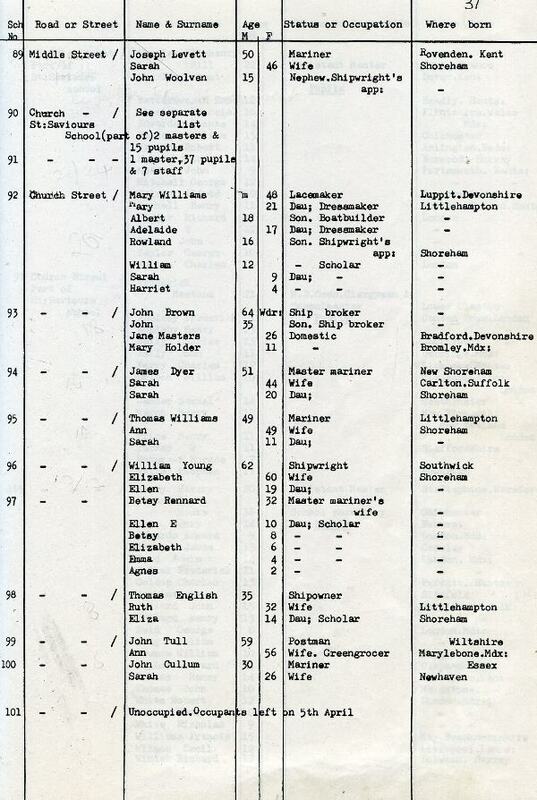 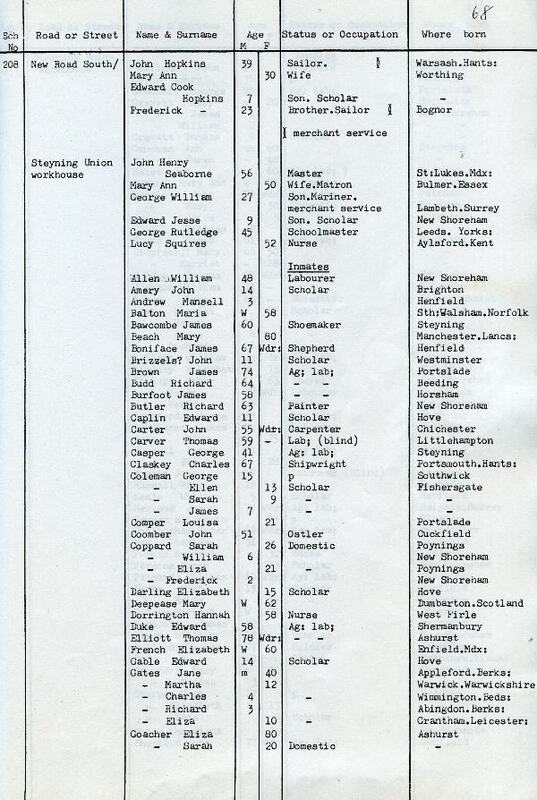 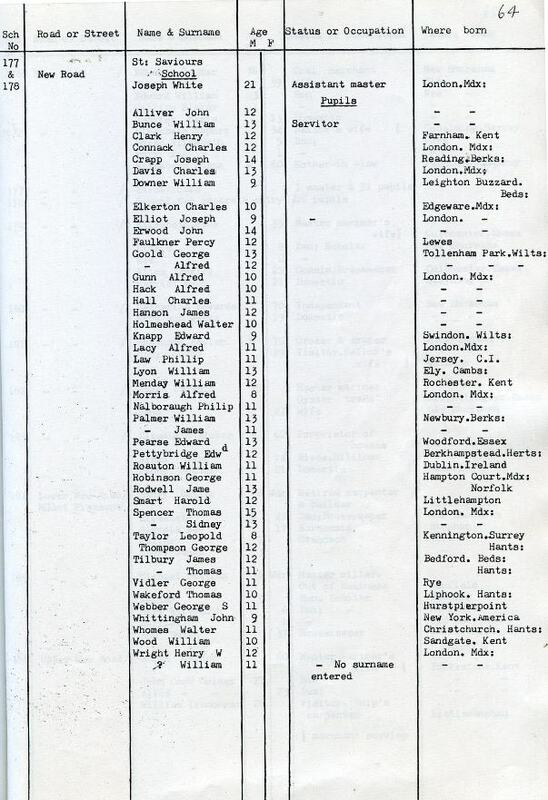 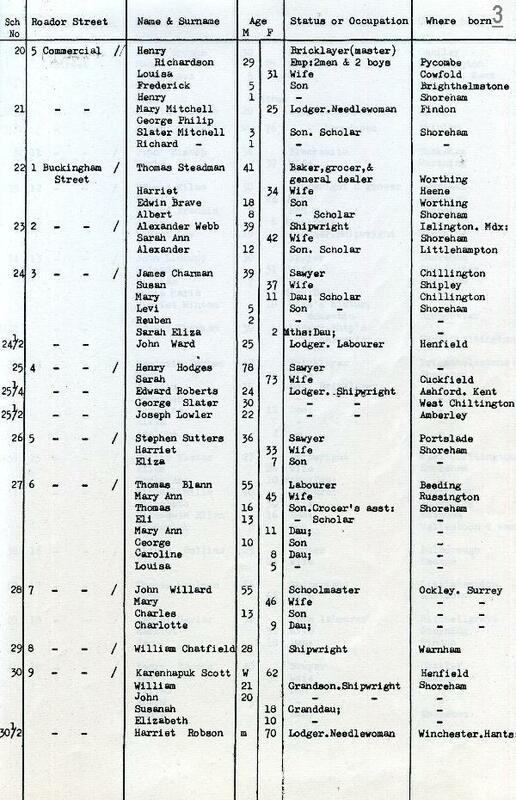 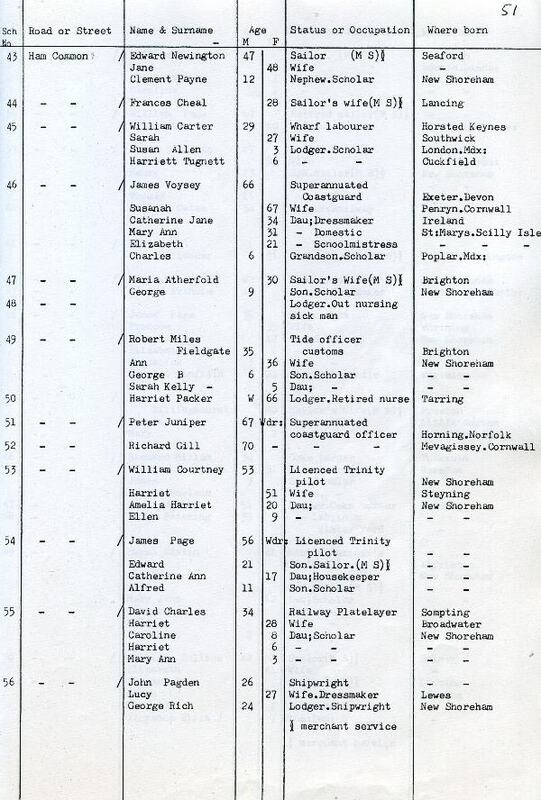 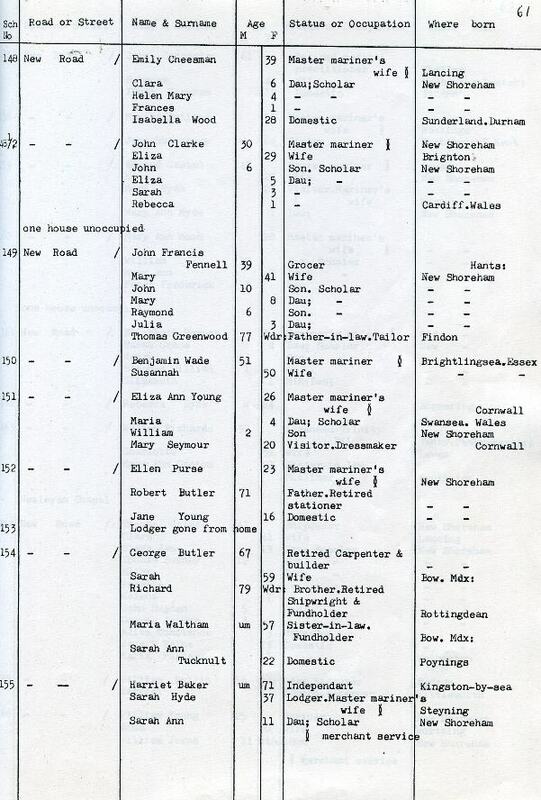 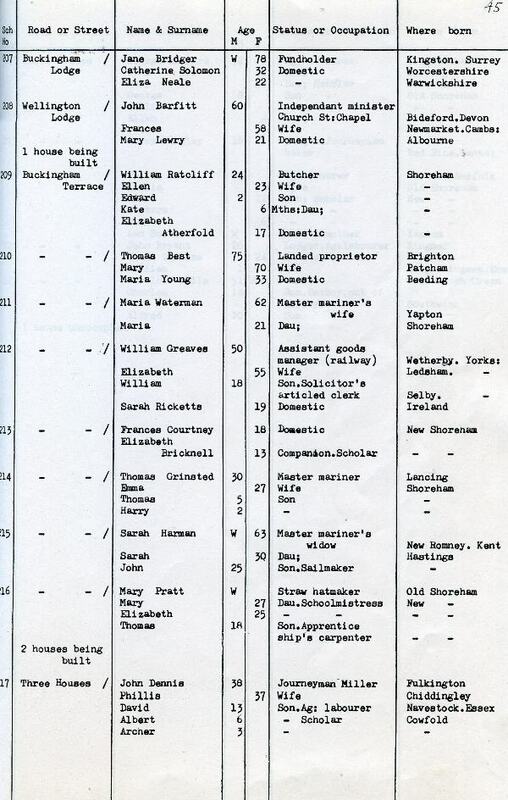 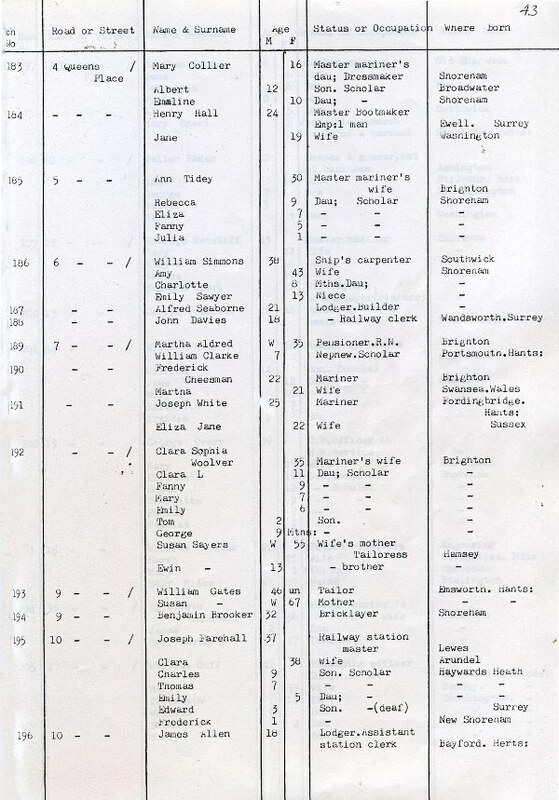 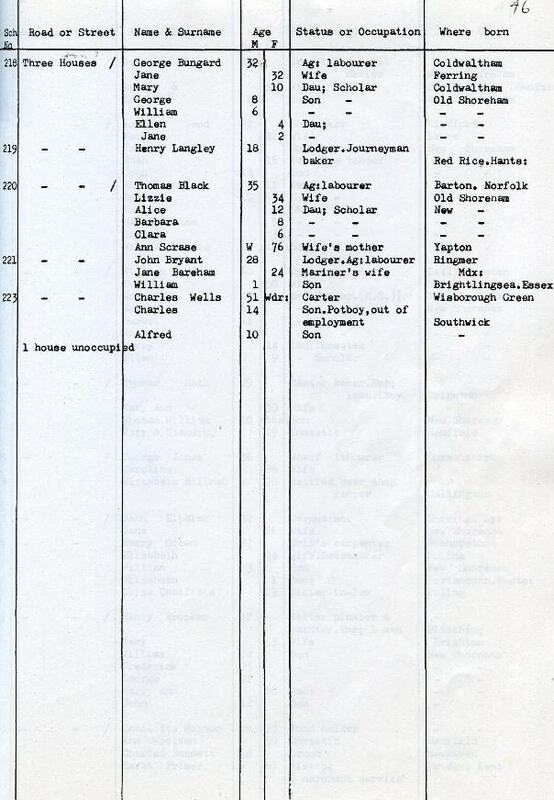 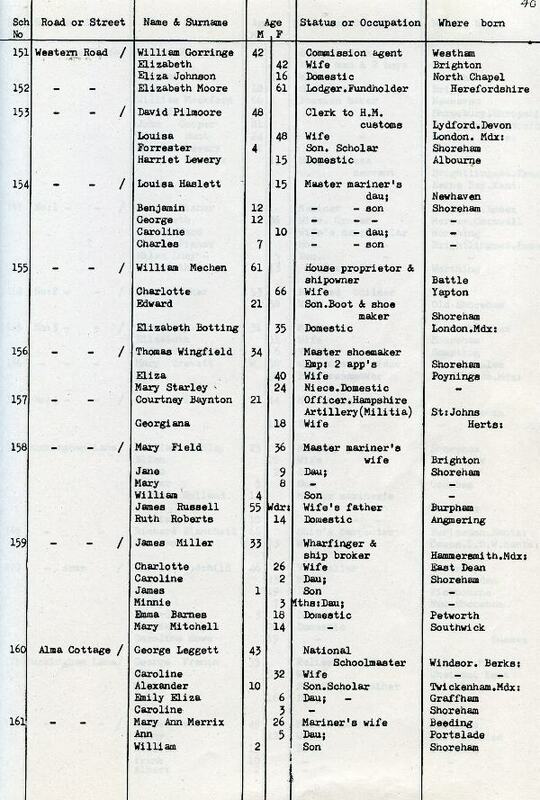 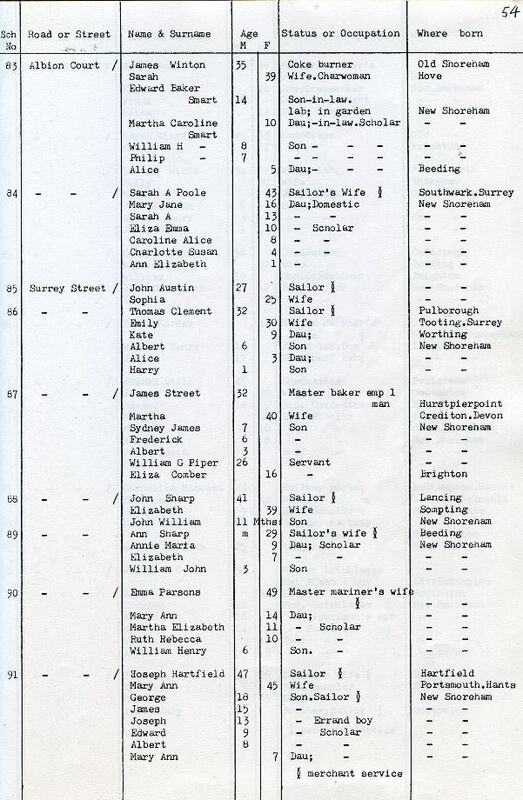 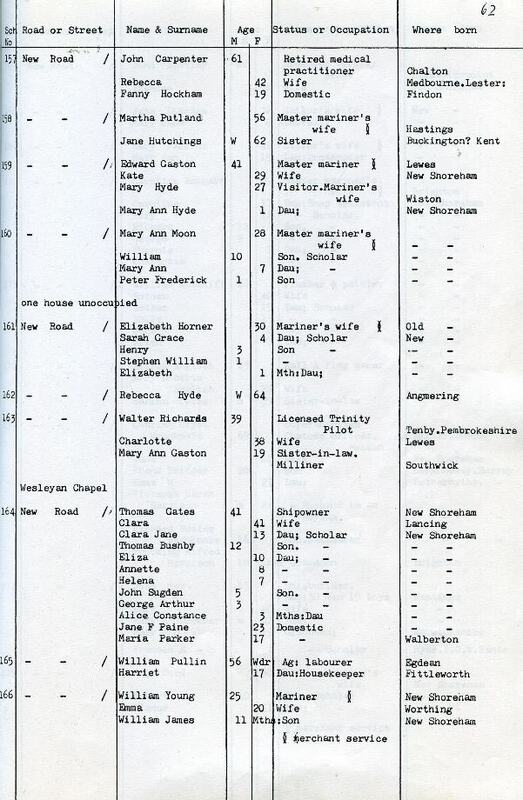 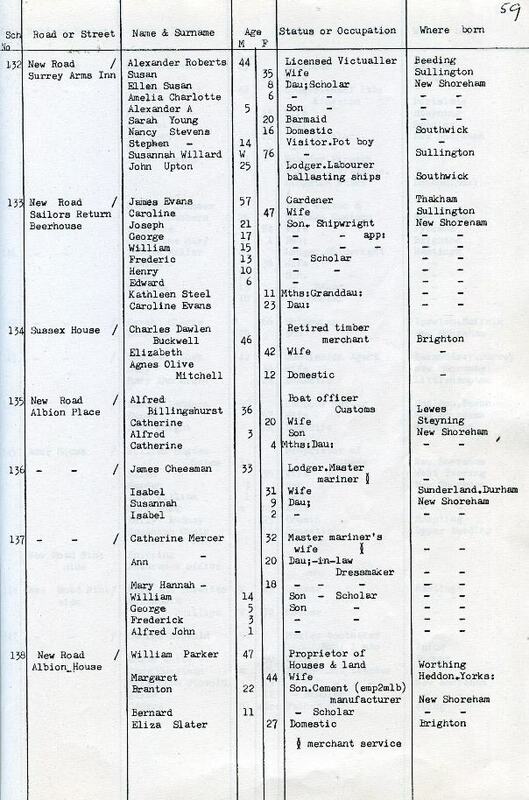 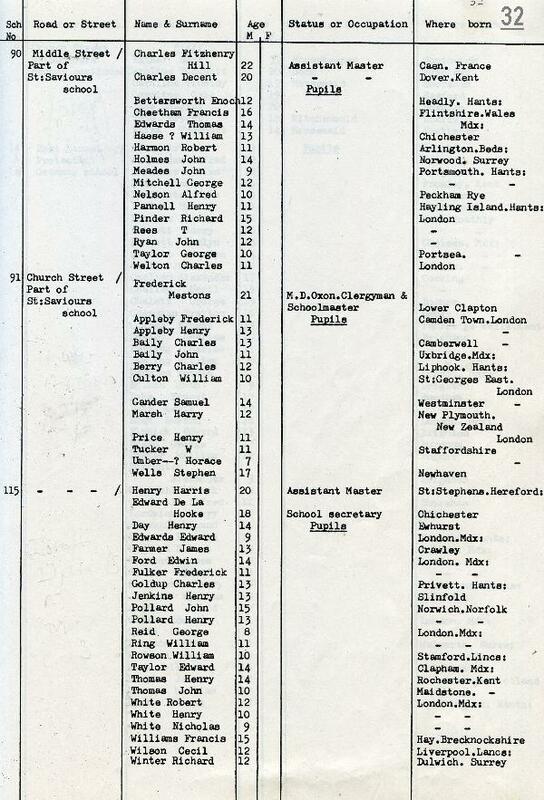 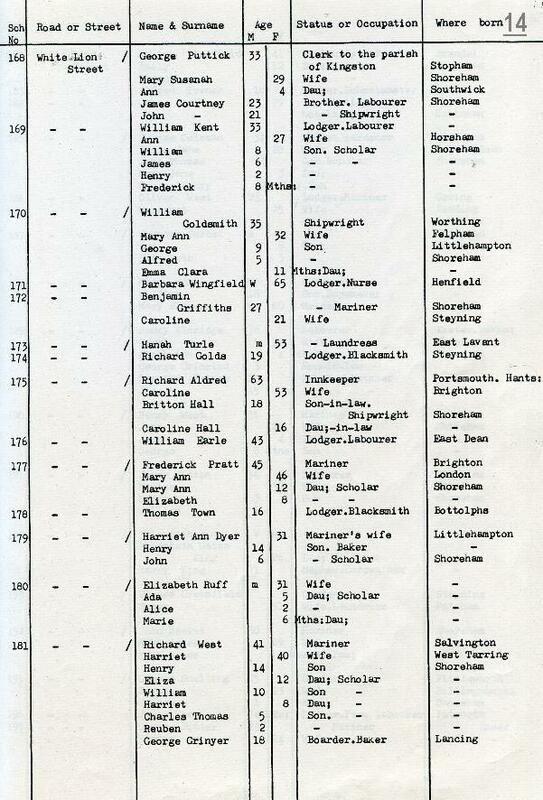 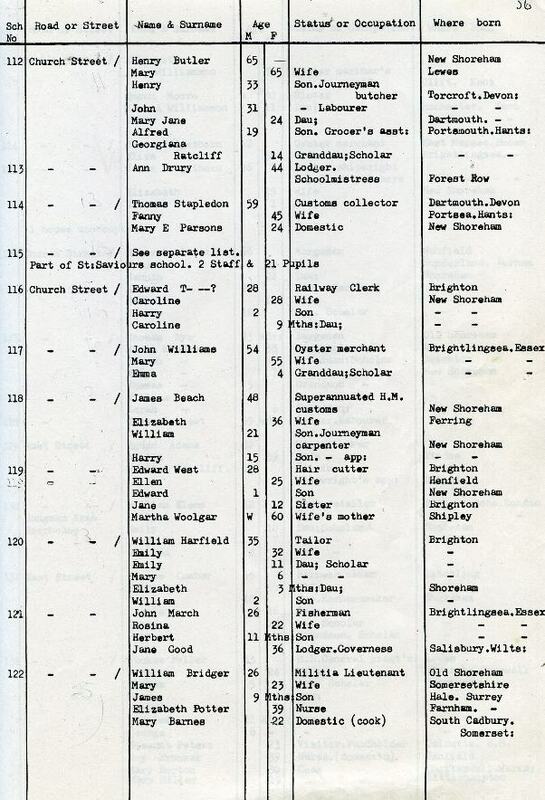 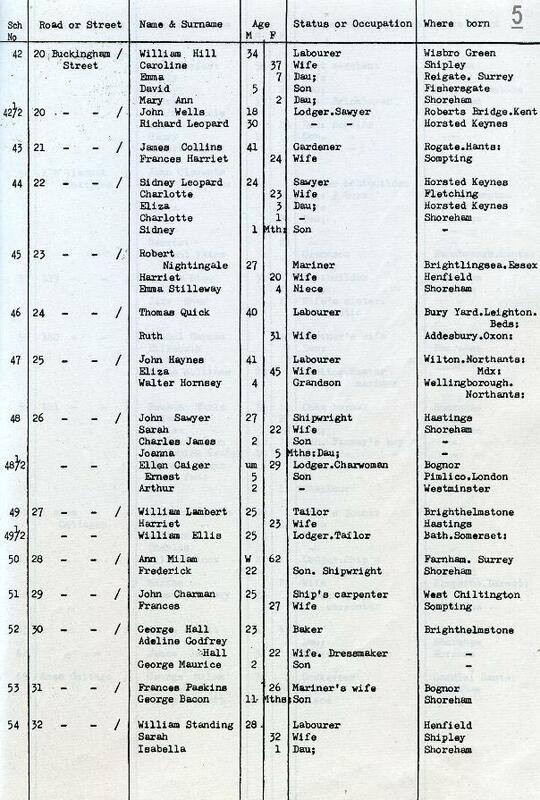 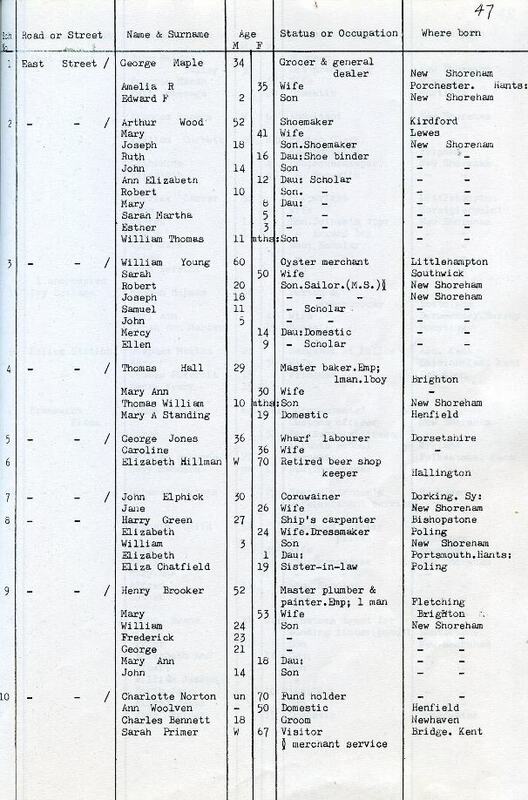 I have been researching my ancestry and found that I have at least 5 relatives, all from Brightlingsea and close proximity, who were either masters or crewmen on vessels in Shoreham Harbour at the time of the 1861 census. 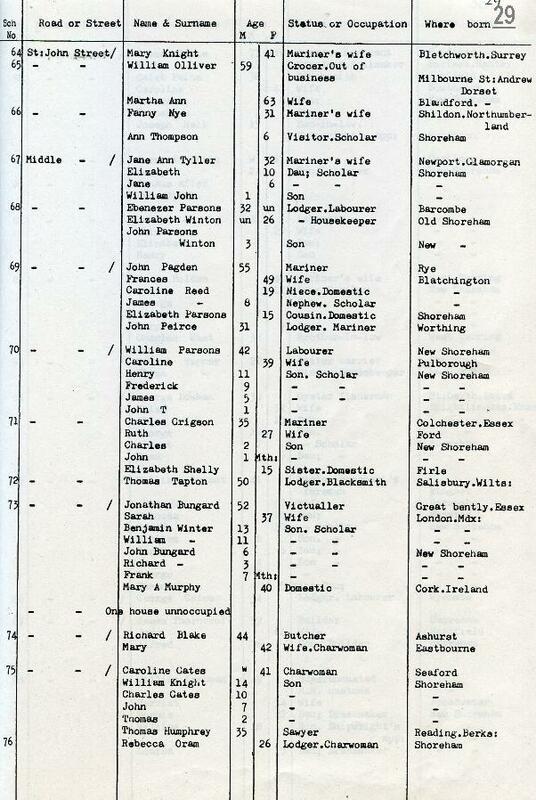 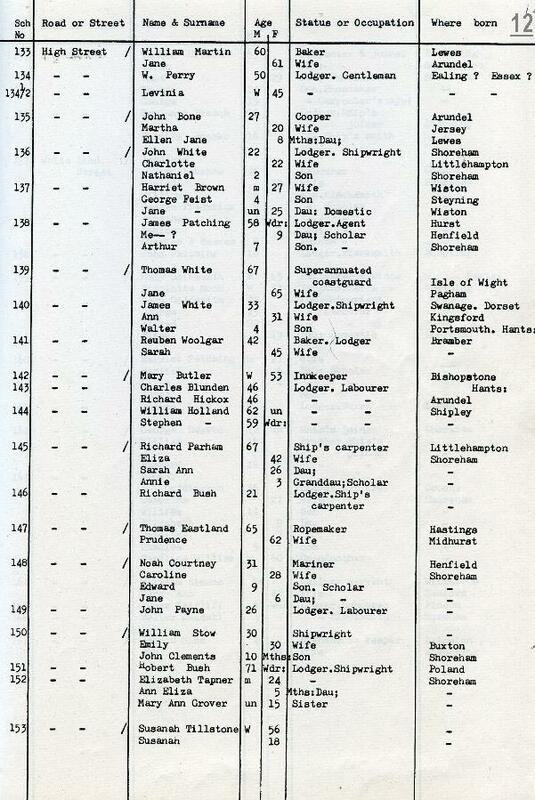 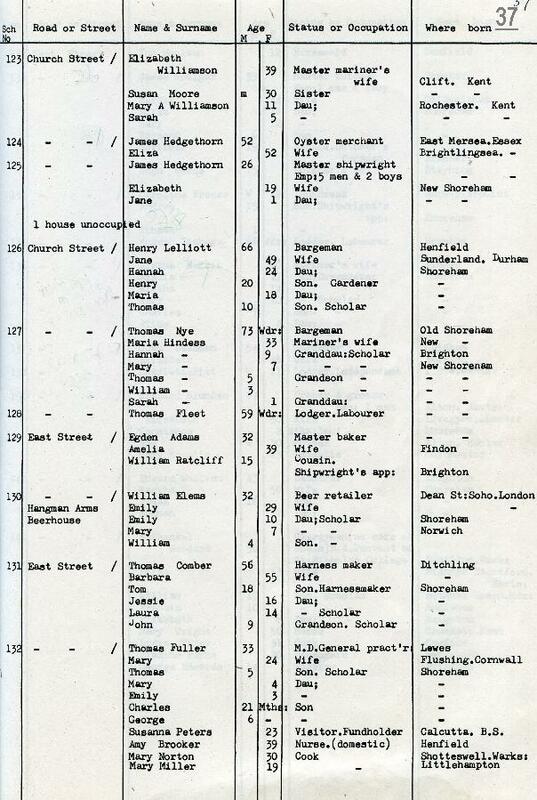 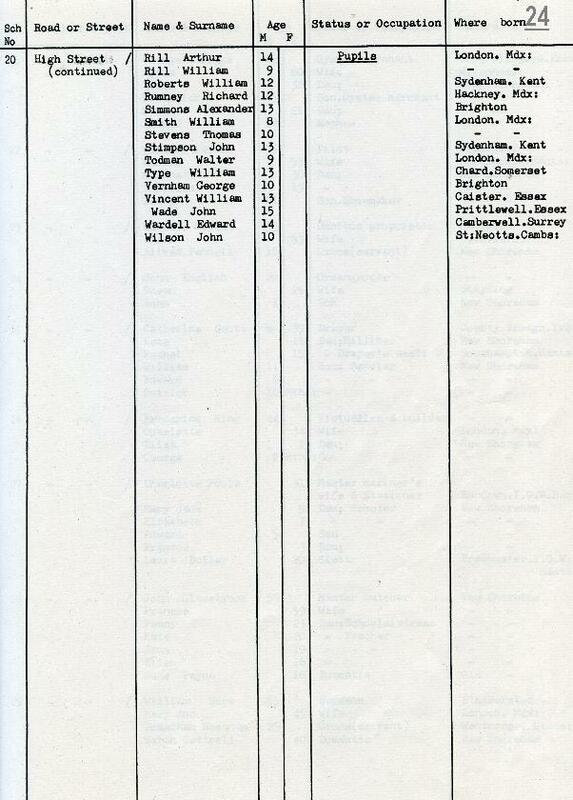 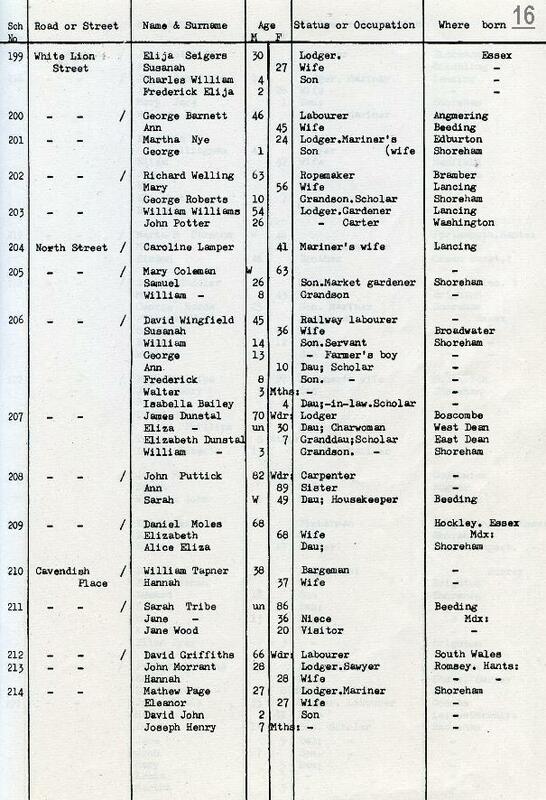 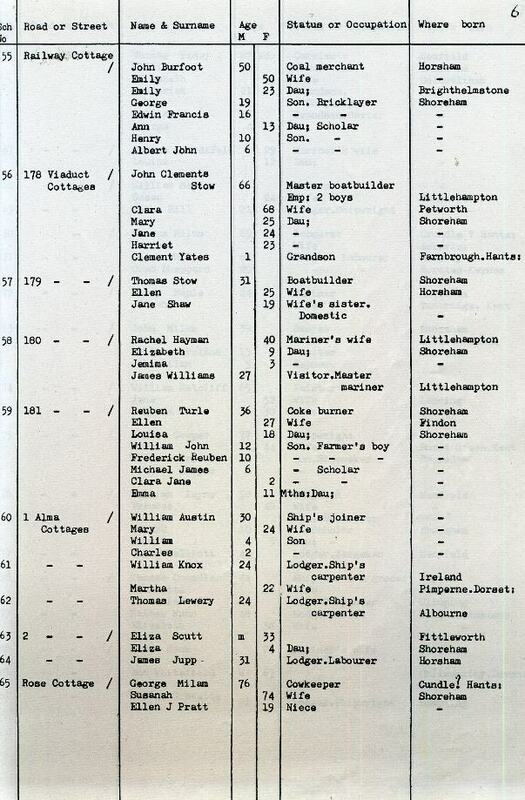 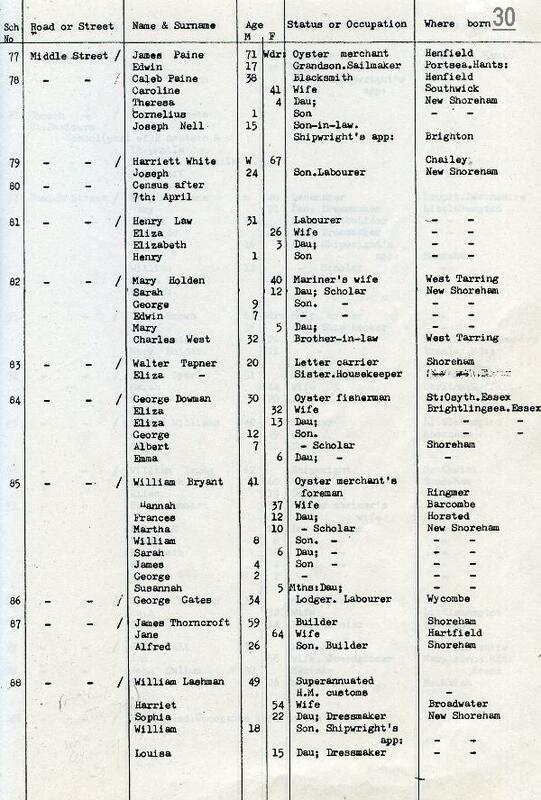 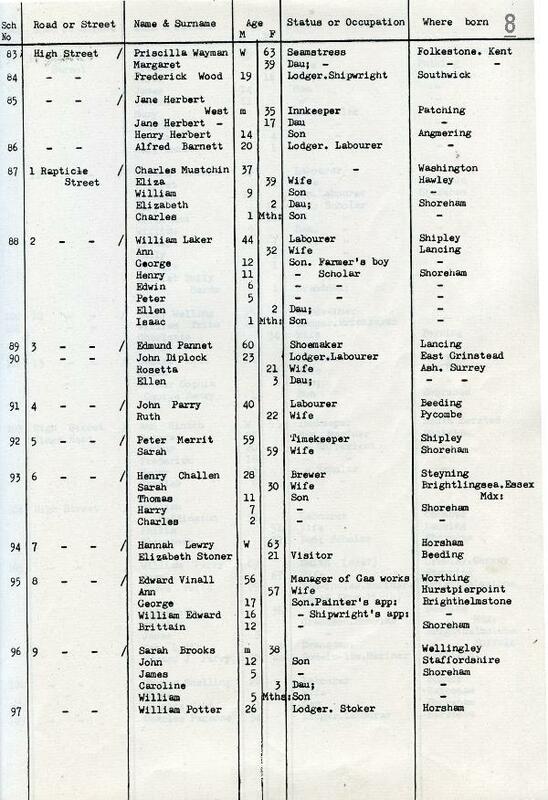 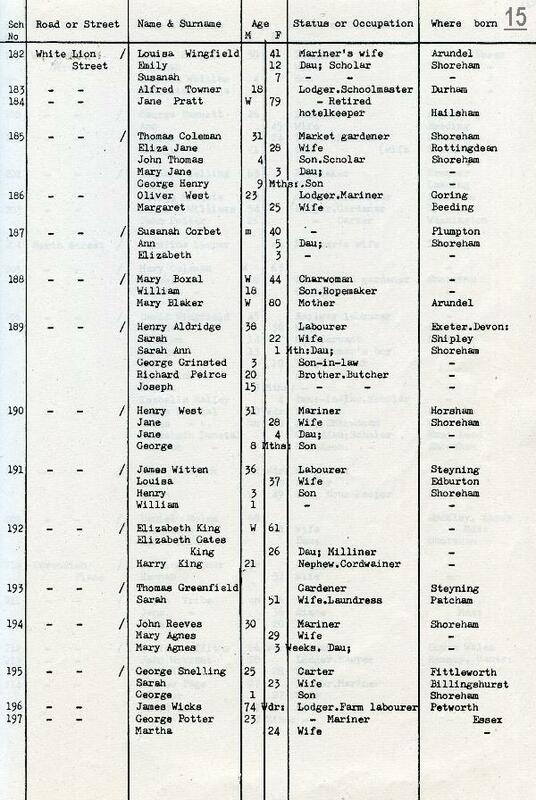 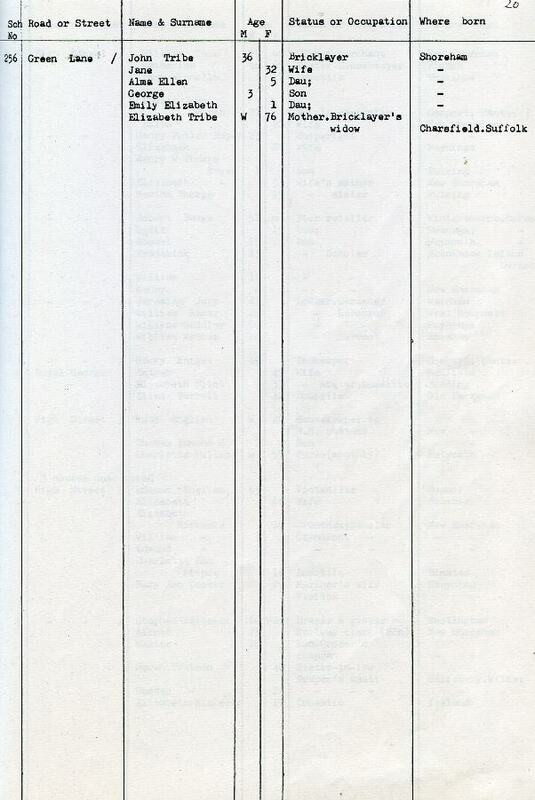 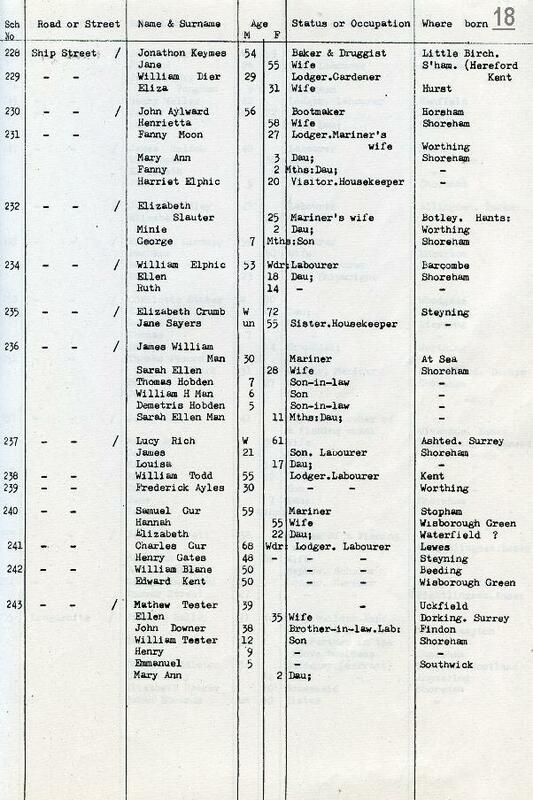 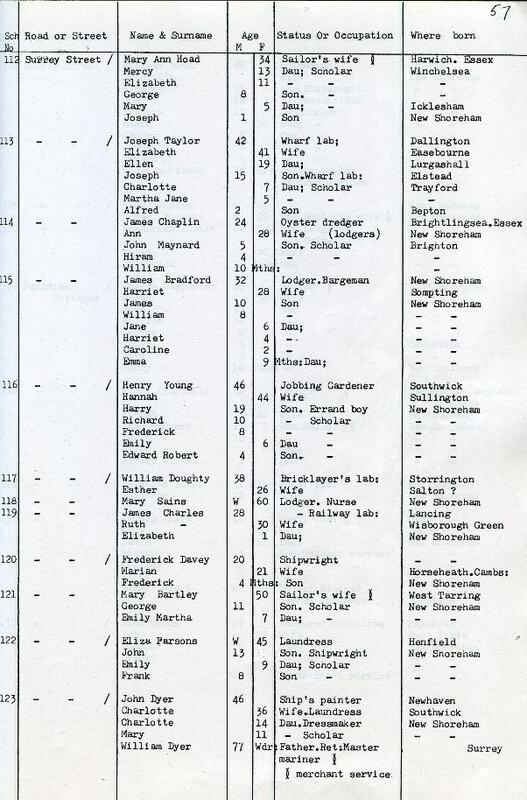 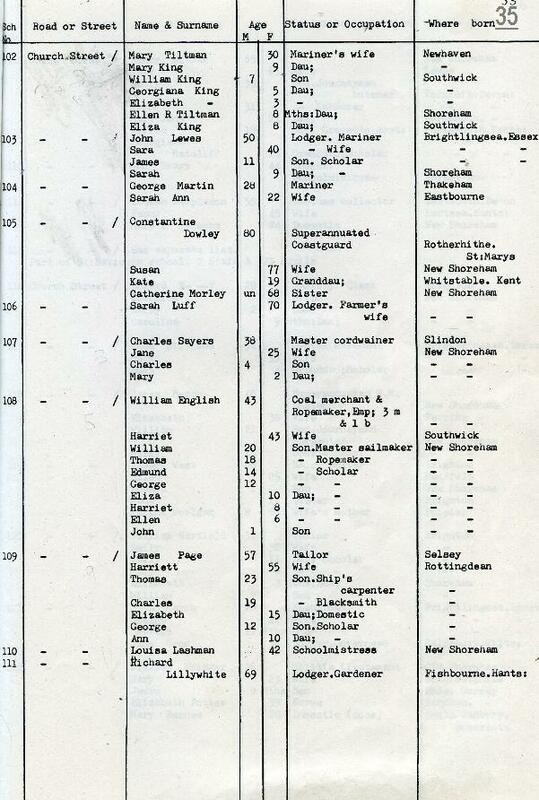 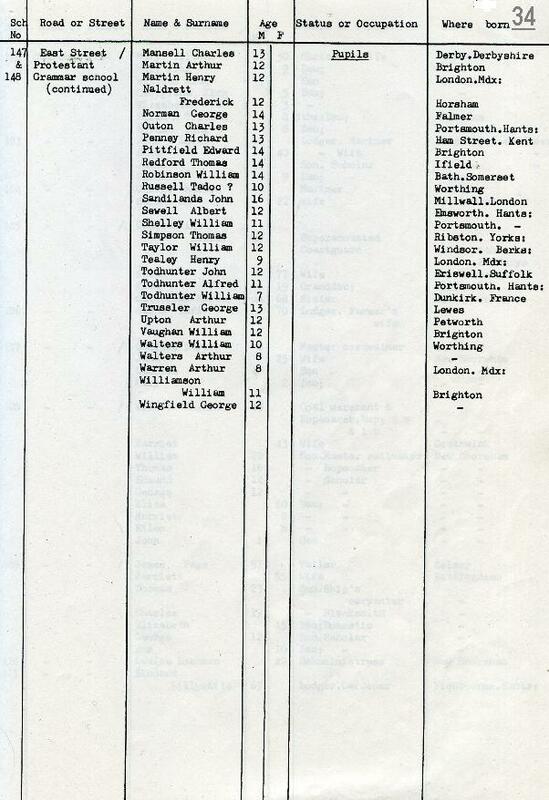 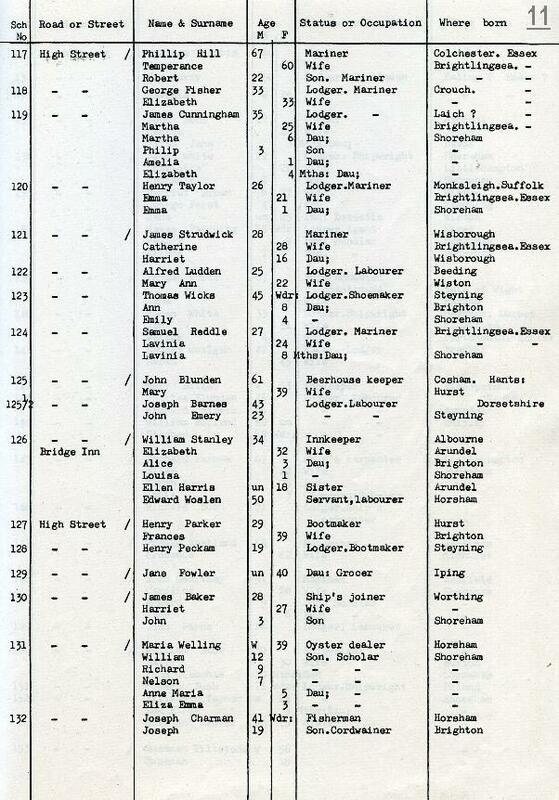 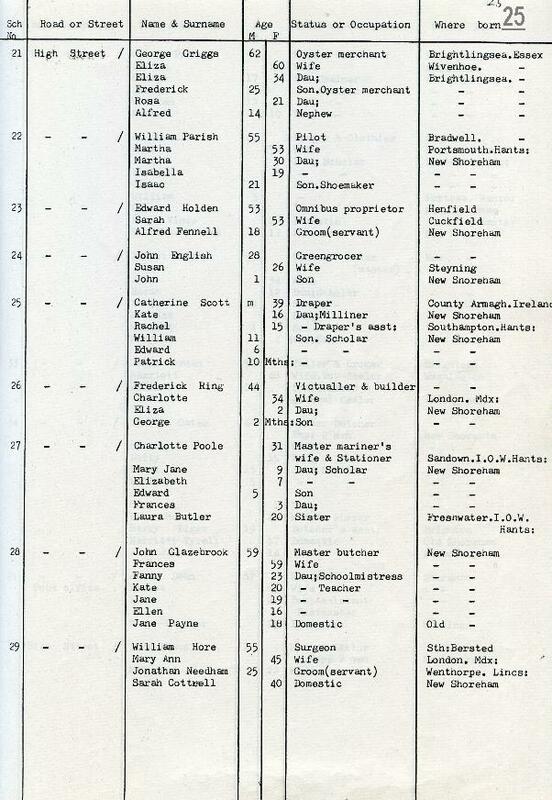 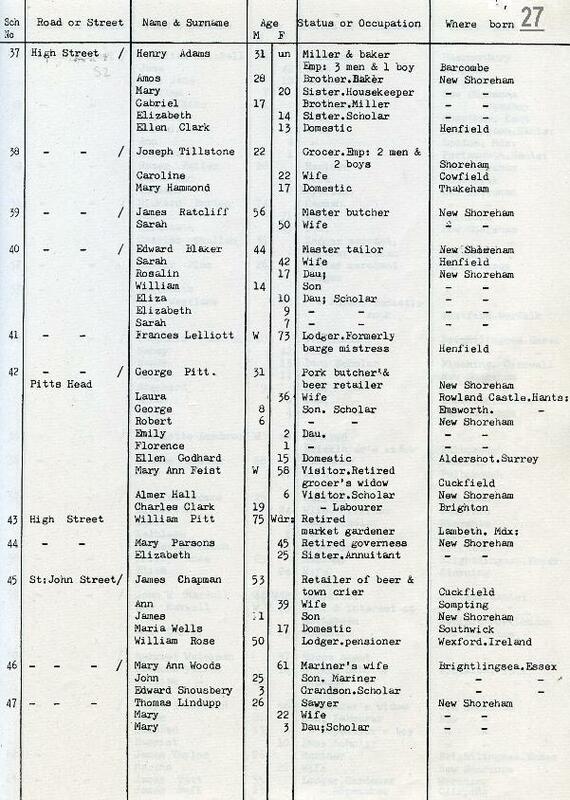 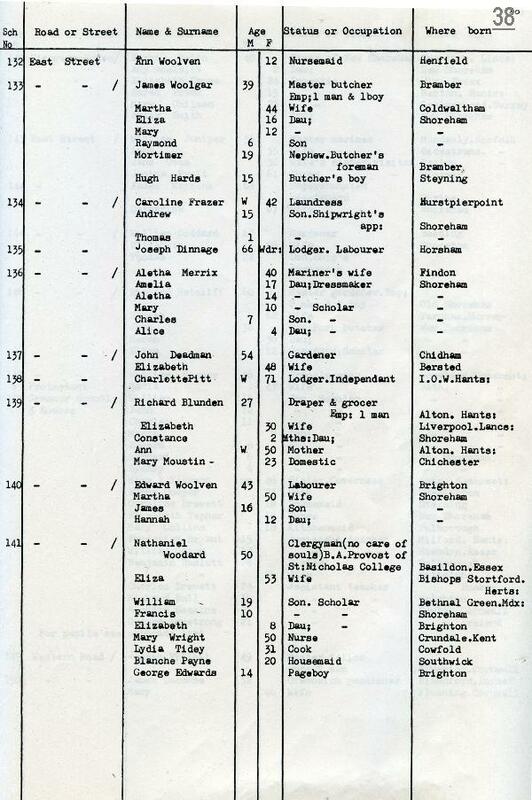 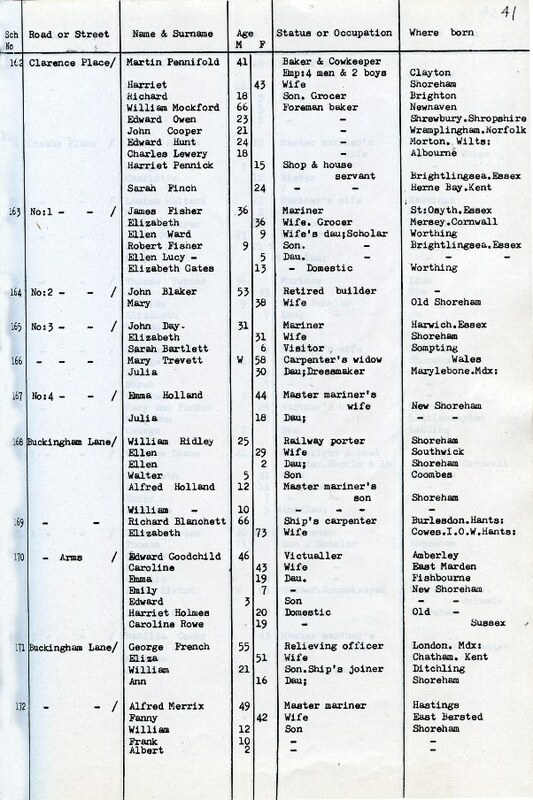 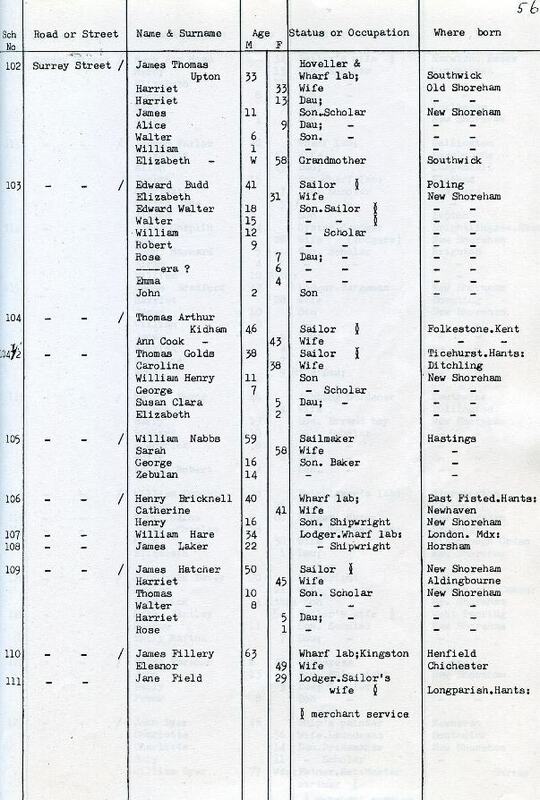 Having gone through the list included in this document I cannot find any log of the vessels or the people on board. 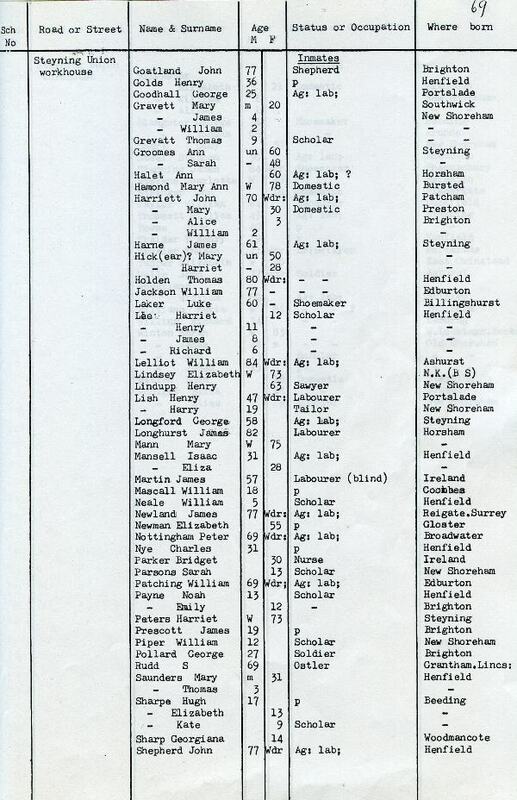 I only came across those I have found by chance but there seems a high probability that there are others and hence I am looking for any help possible in finding other records which would give me other possible relatives. 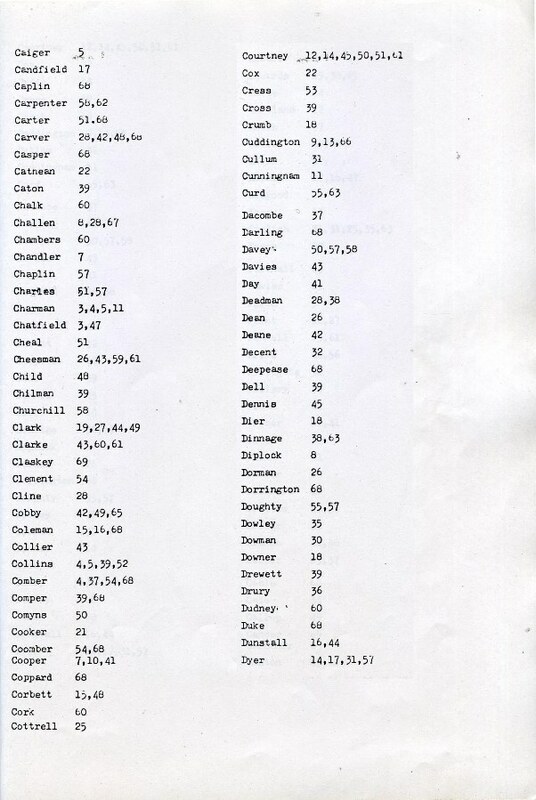 If anyone is able to point me in the right direction I would be most grateful. 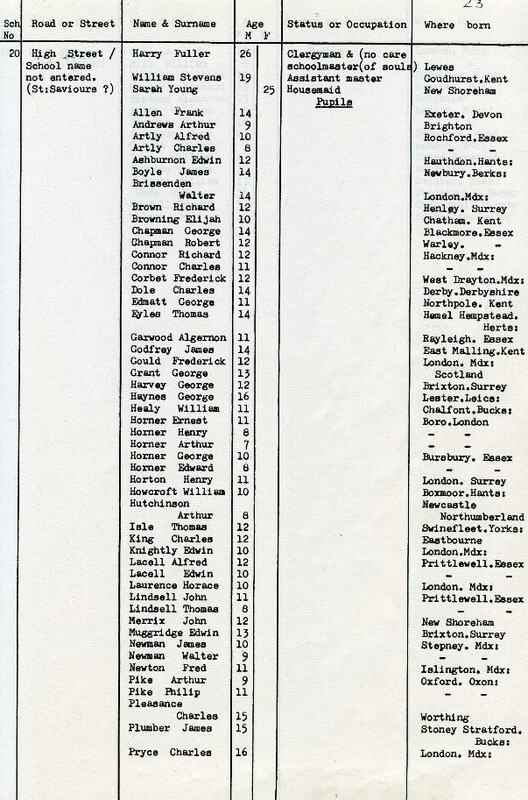 Can’t help much further Keith. 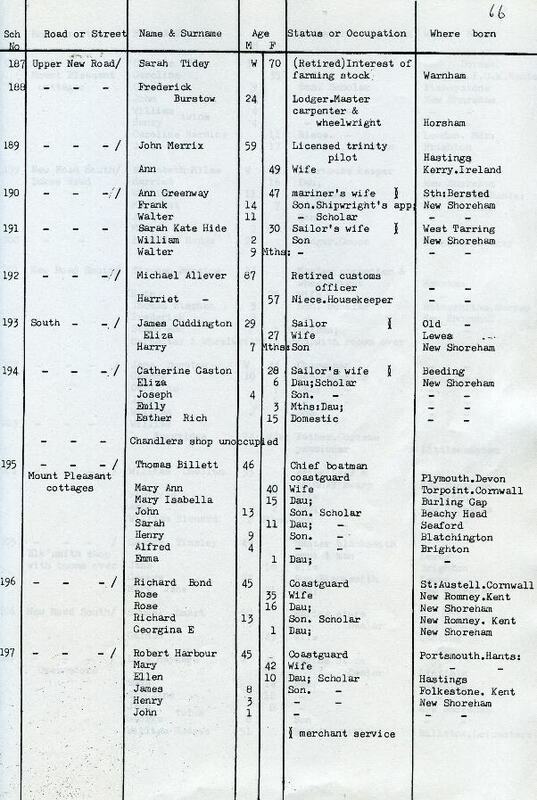 As regards the vessels I can only suggest you look on the British Library’s Newspaper Archives for local newspapers as they showed a daily or weekly list of the movement of vessels in and out of Shoreham Port. 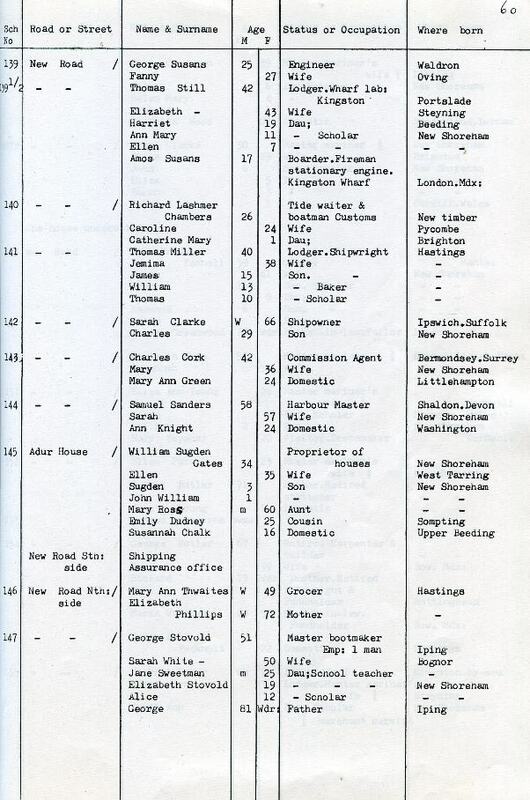 ‘Ship Departures and Arrivals’ I think they were called but they only gave the ship name, the master and the port they were from – not the crew. 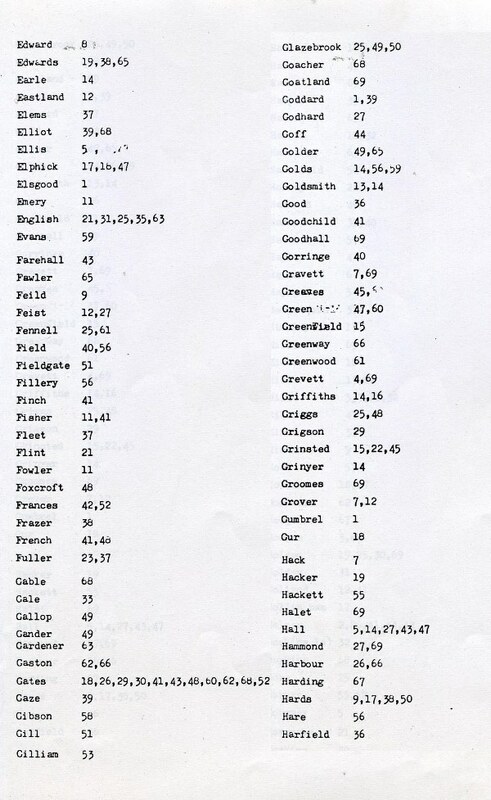 Hi, Can you give me the names of your Essex oyster men? 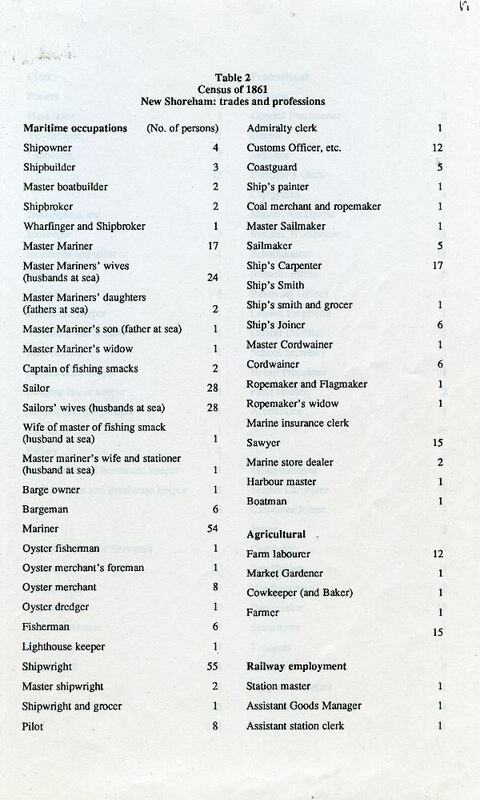 In Drake Hunt’s copy of 1861 Census published by the local history group Prof. Brandon was kind enough to mention my interest in the oyster fishery. 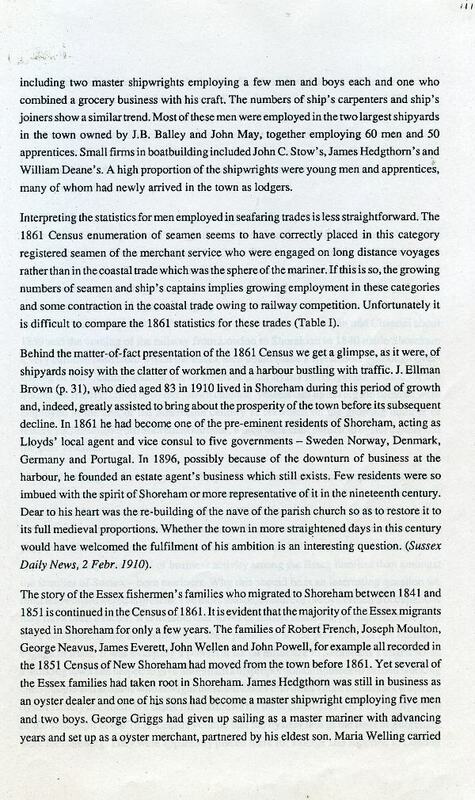 Now retired, I’m finally starting to write my book about it and want info from any Shoreham descendants of the Essex fishermen. 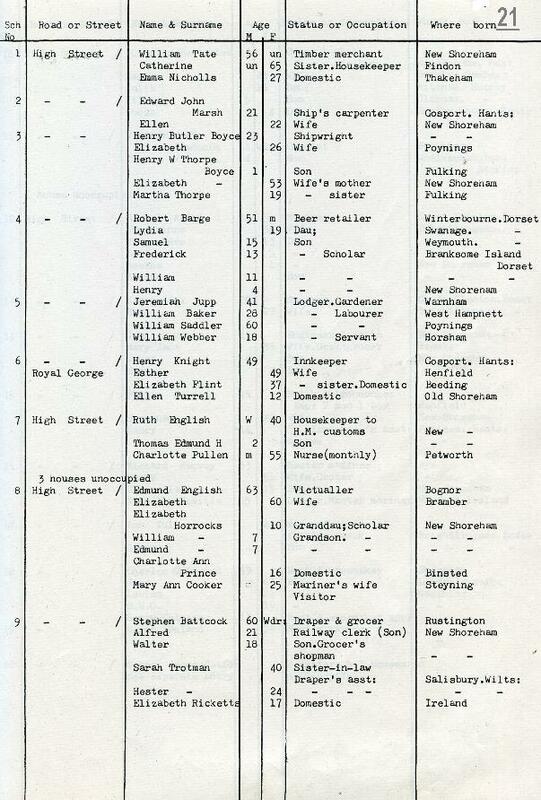 I come from the Sampson’s and Earthy line. 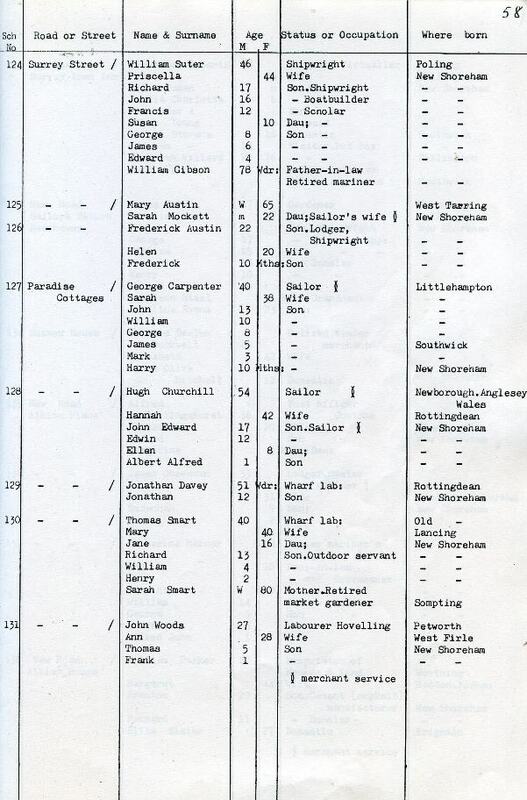 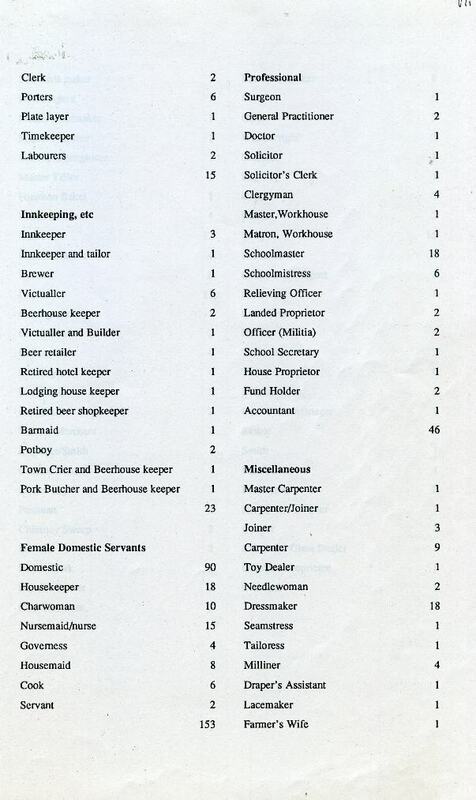 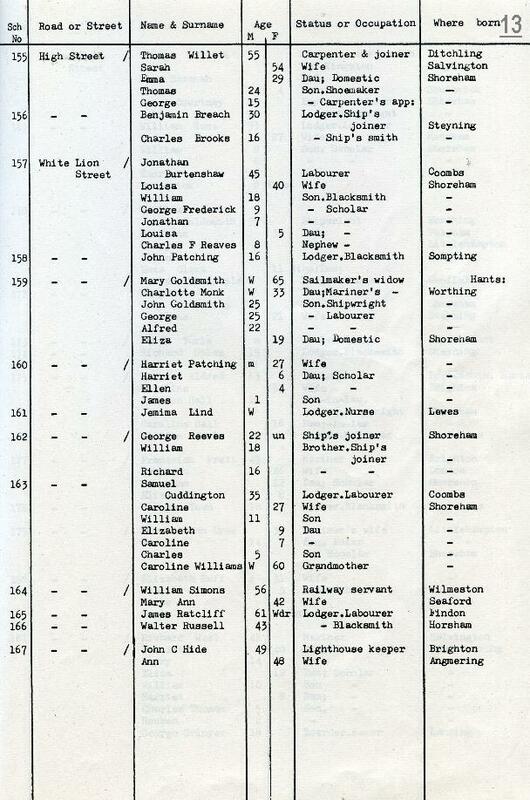 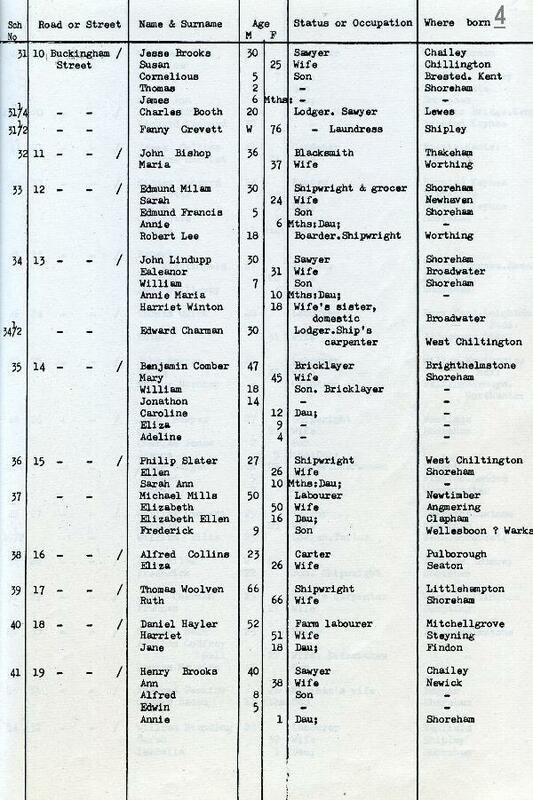 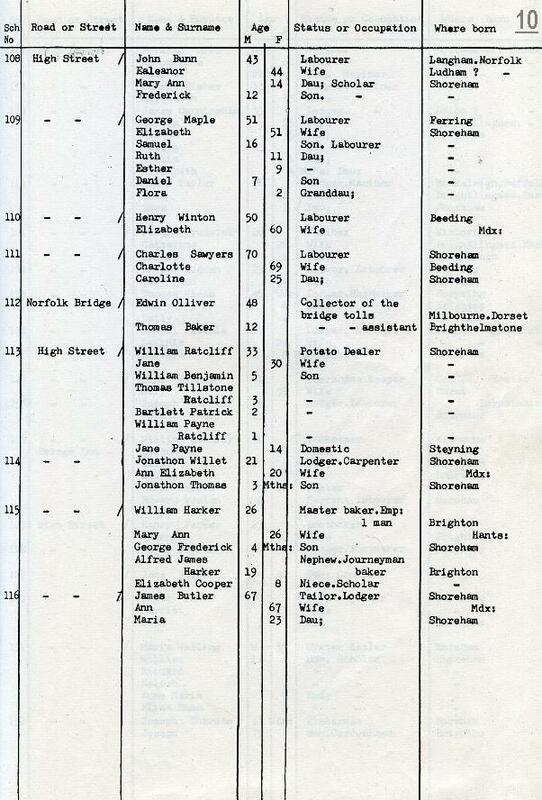 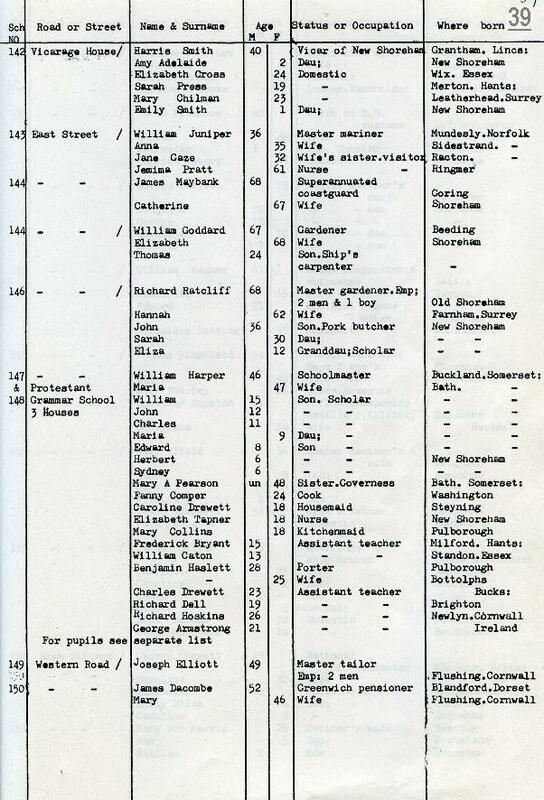 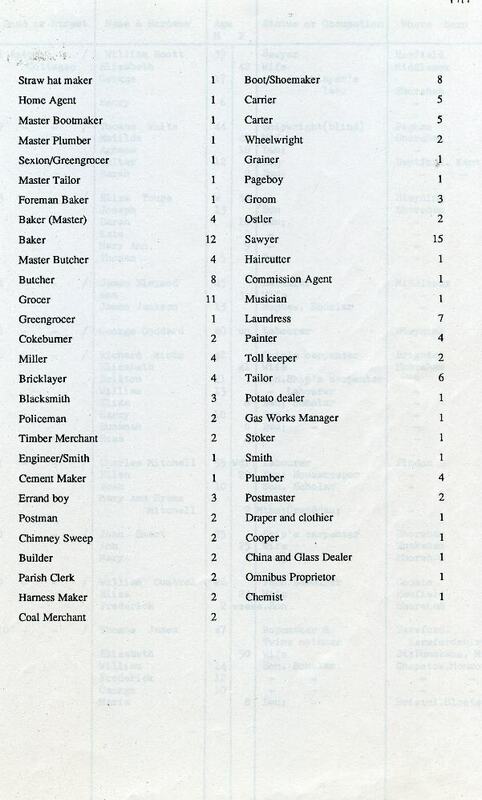 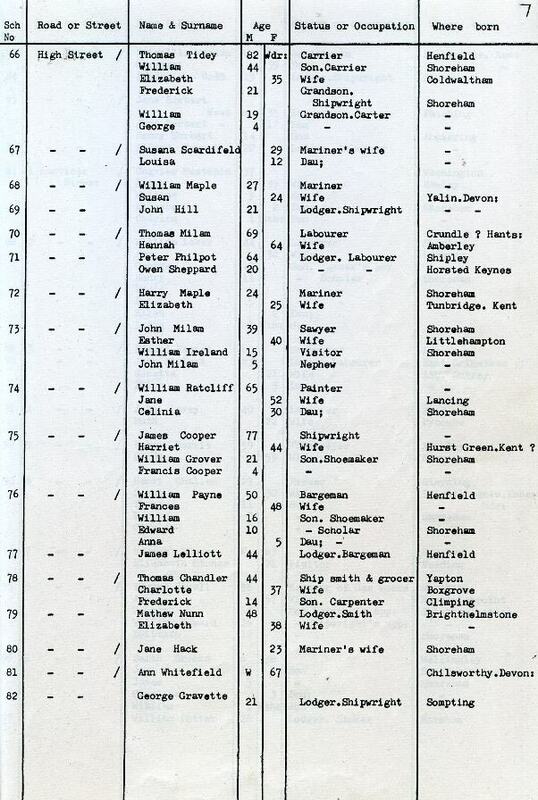 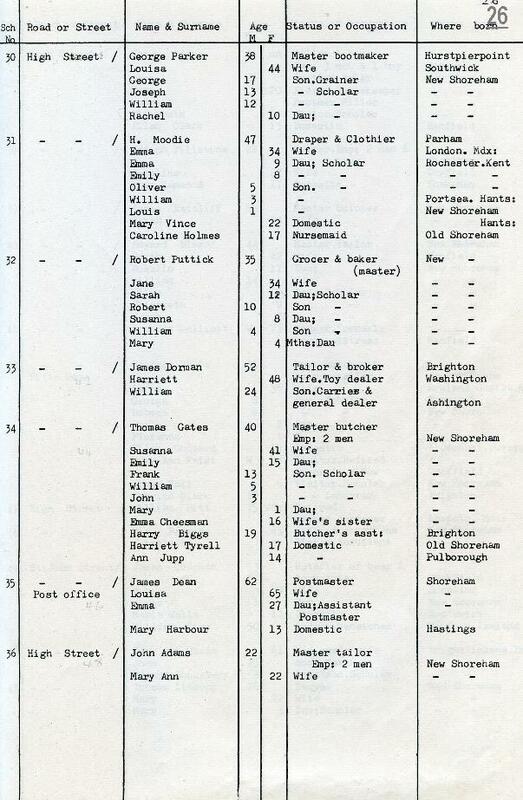 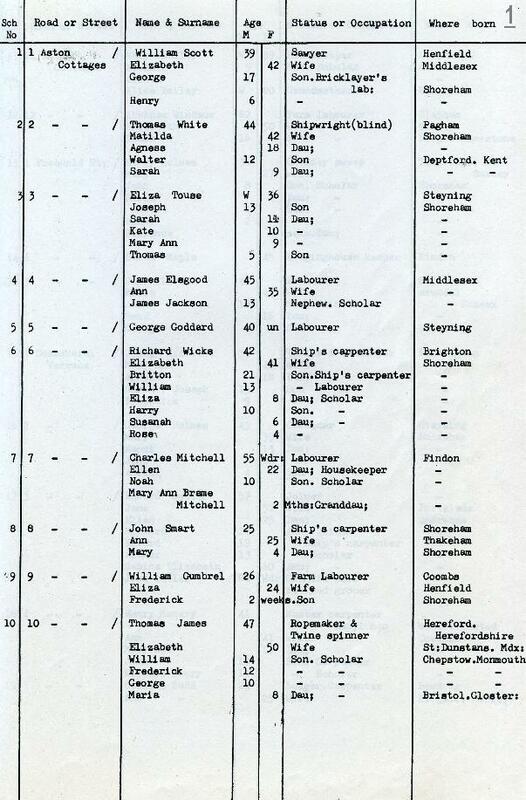 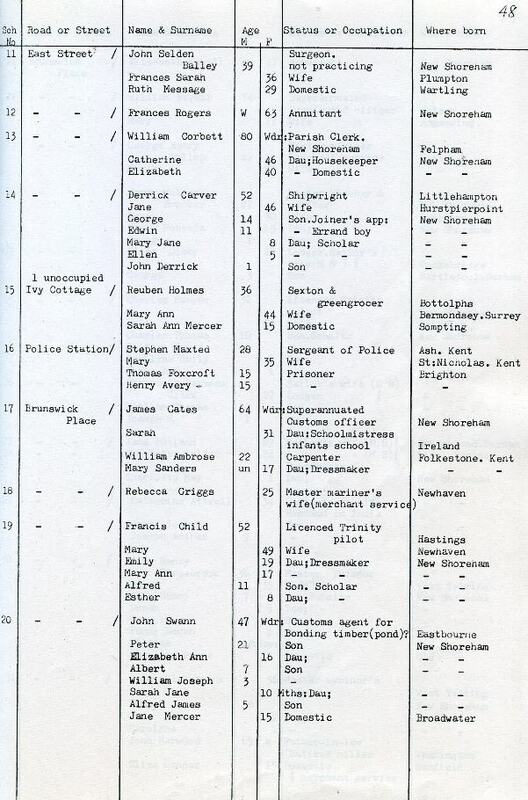 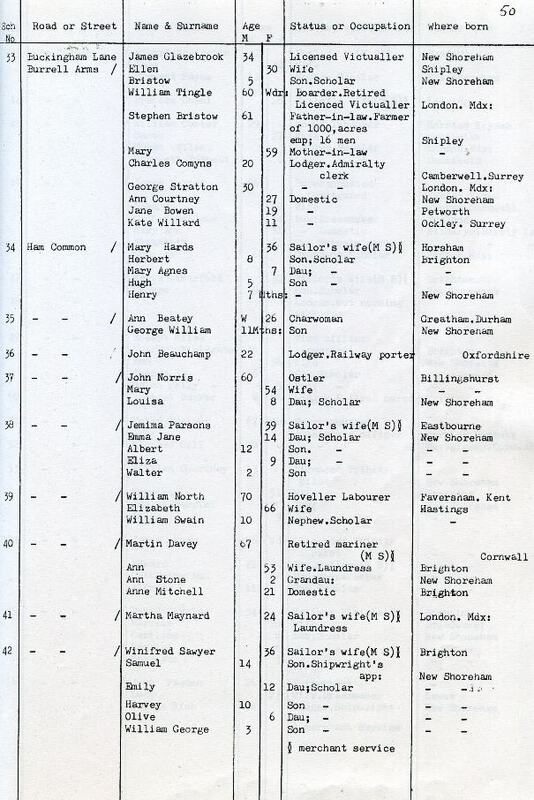 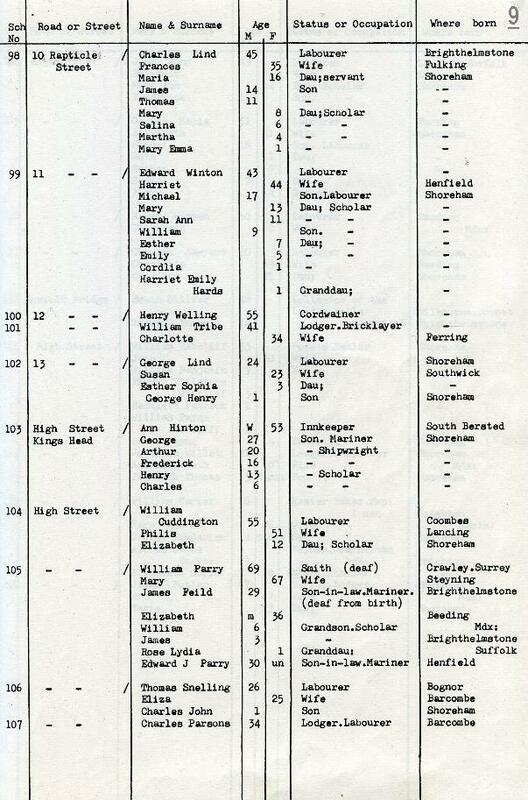 Check out the 1871 Census they caught many Colchester and Jersey oyster smacks in harbour. 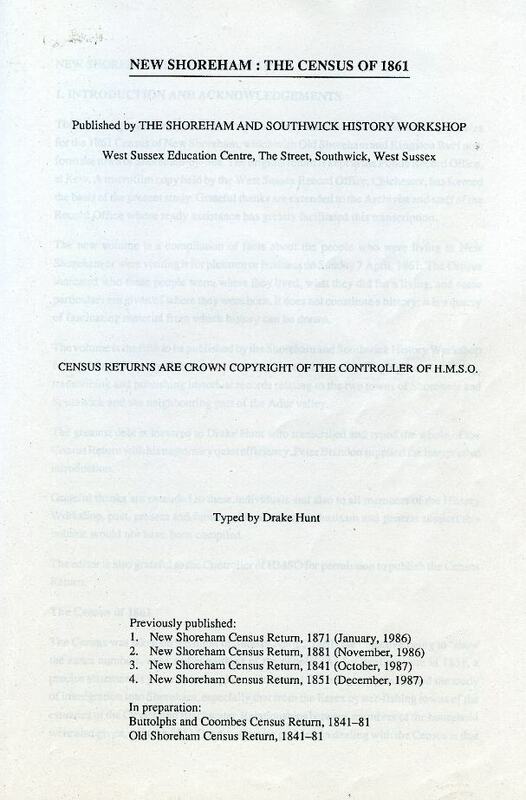 Unless there are descendants that use this website that can tell you more I’m afraid it is a matter of working through the census returns Kim. 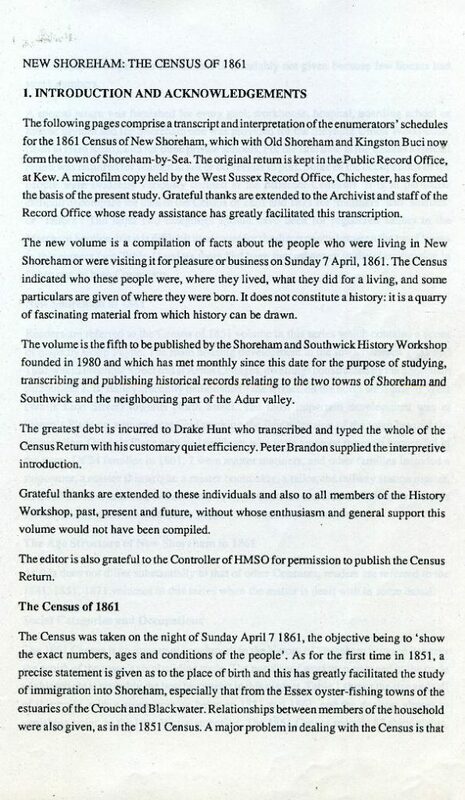 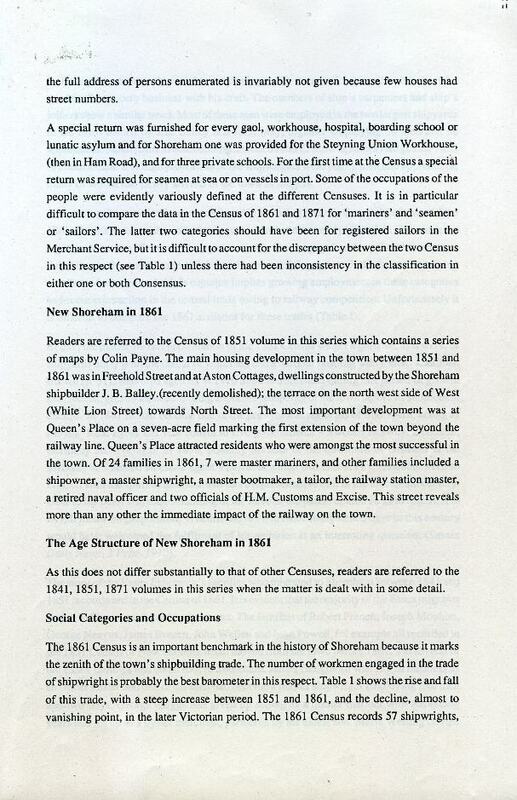 You may know the introduction to the 1851 return mentions a total of 12 oyster merchants, unfortunately without naming them, of which 10 were from Essex. 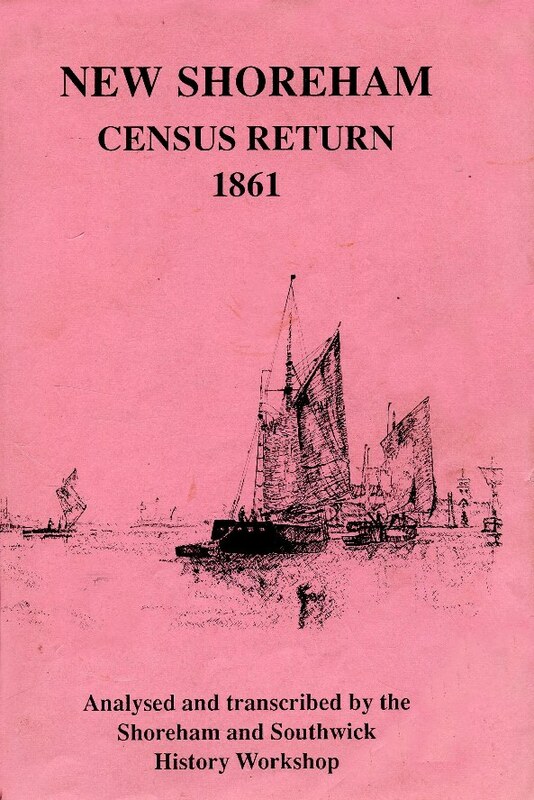 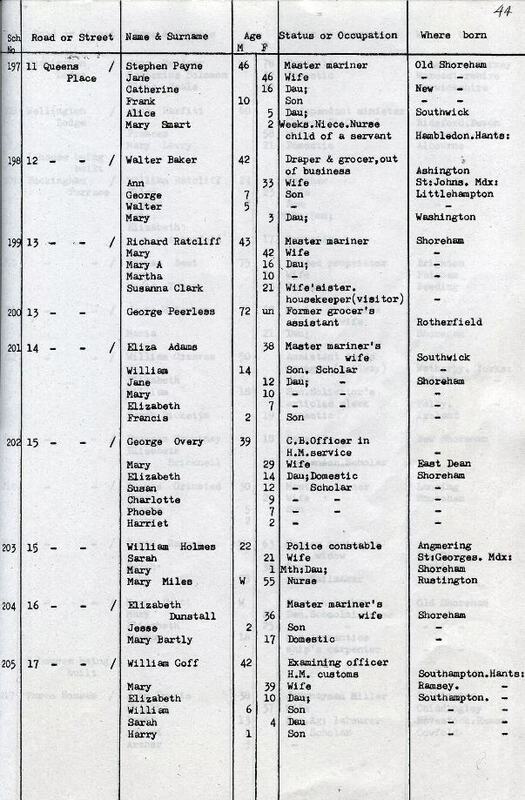 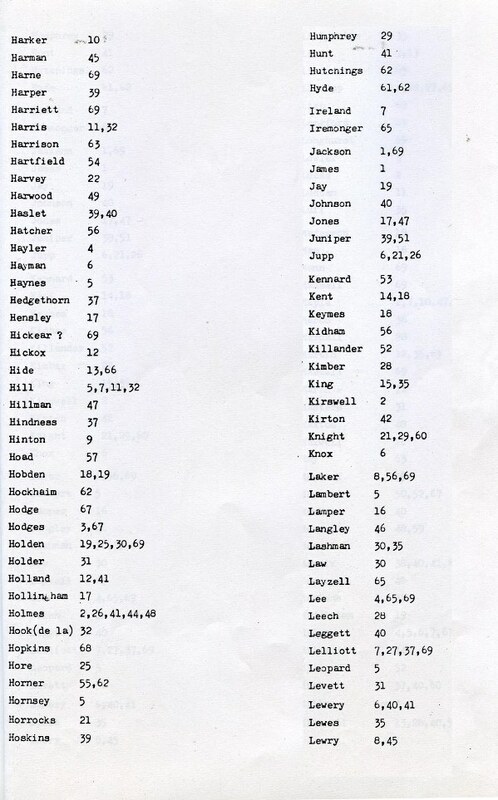 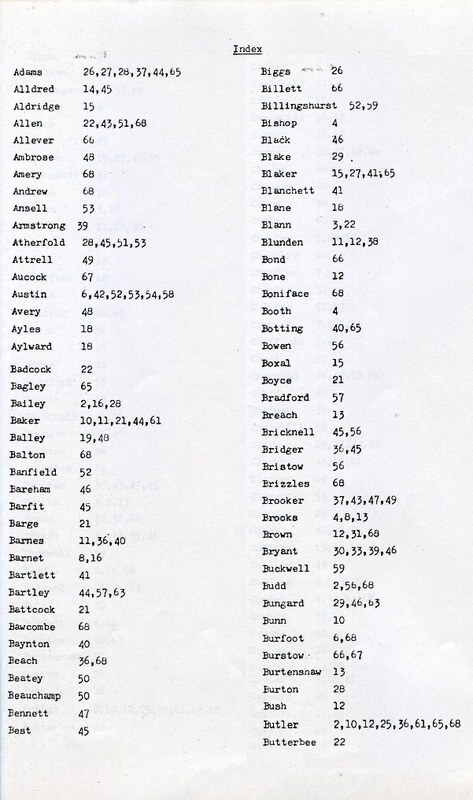 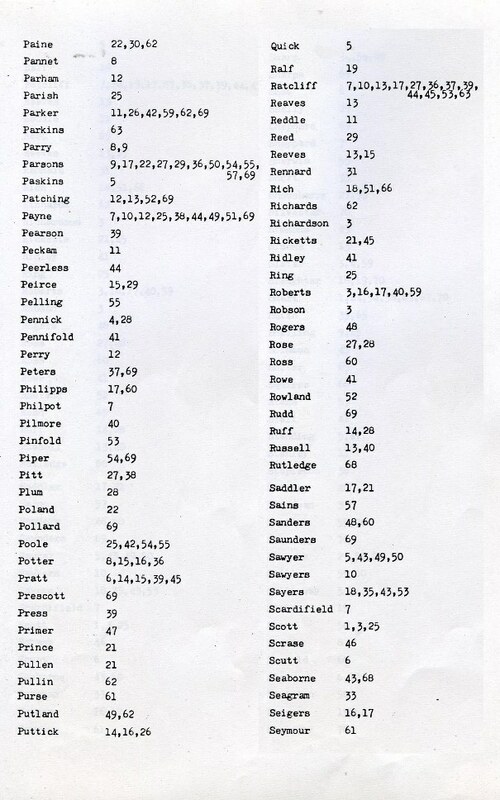 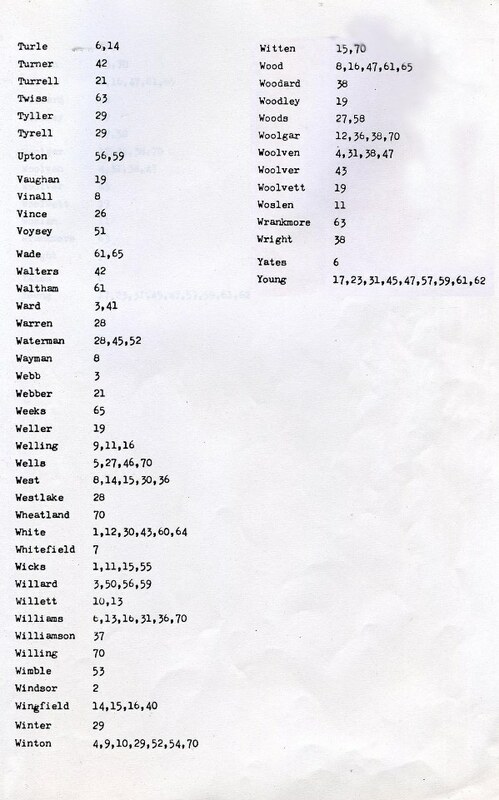 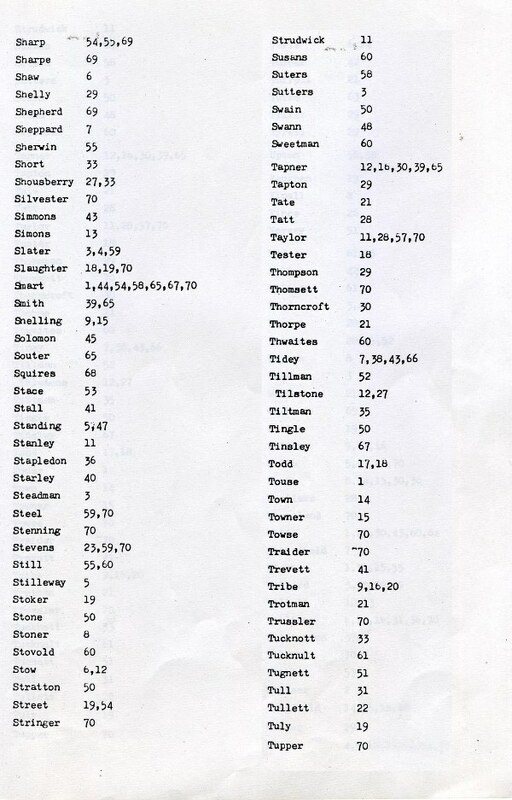 The 1861 return introduction again shows the totals for that year, 1871 and 1881. 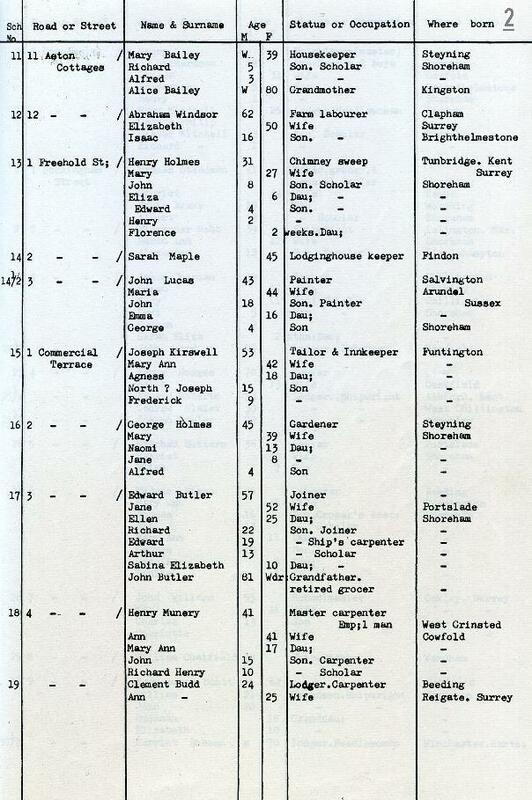 From memory the Essex oyster merchant/fishermens’ names included Griggs, Wade, Hedgethorne, Glazebrook and Williams. 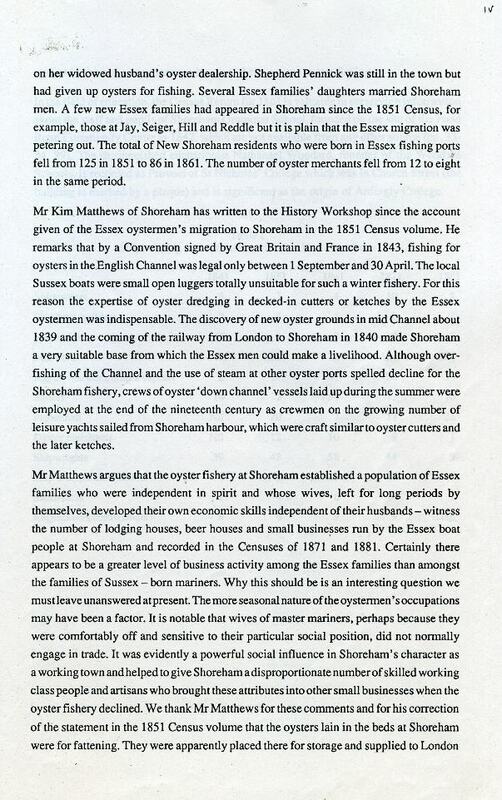 Have a look also through our newspaper records, I seem to remember there are a number that relate to oyster fishing. 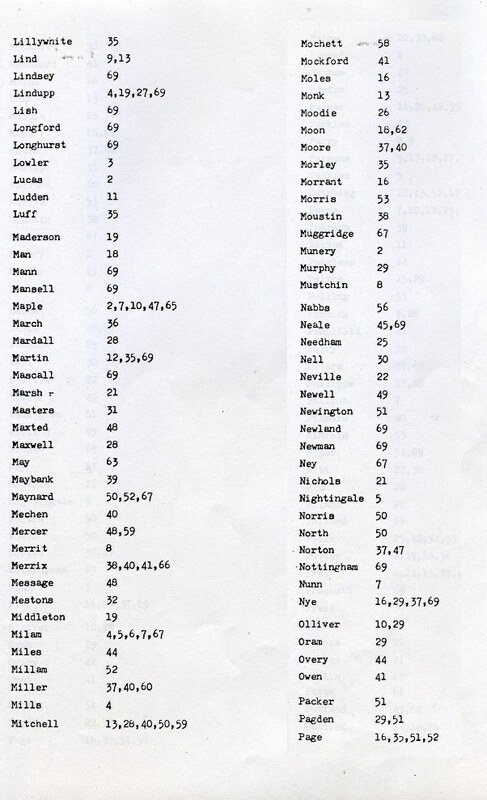 Hi, I thought I might be able to help Keith Brown if he sent me the names of his ancestors. 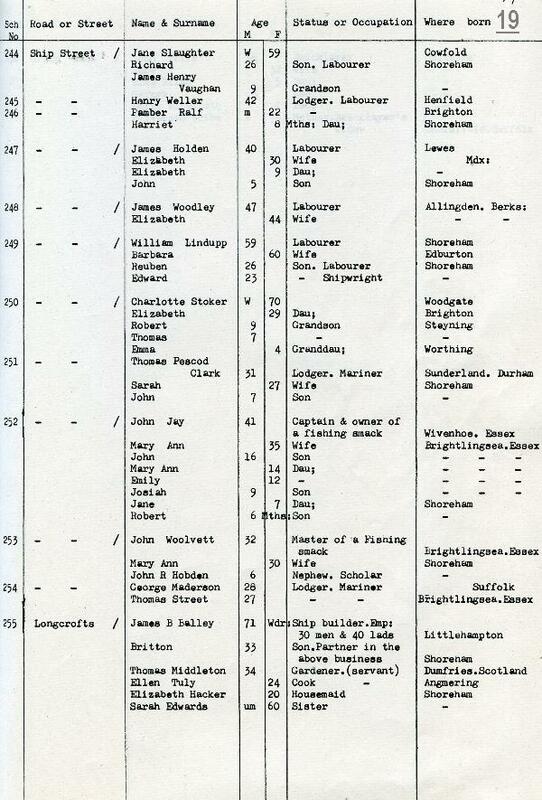 I do have good access to newspaper reports, ships records, all Drake Hunt’s excellent Census books, etc. 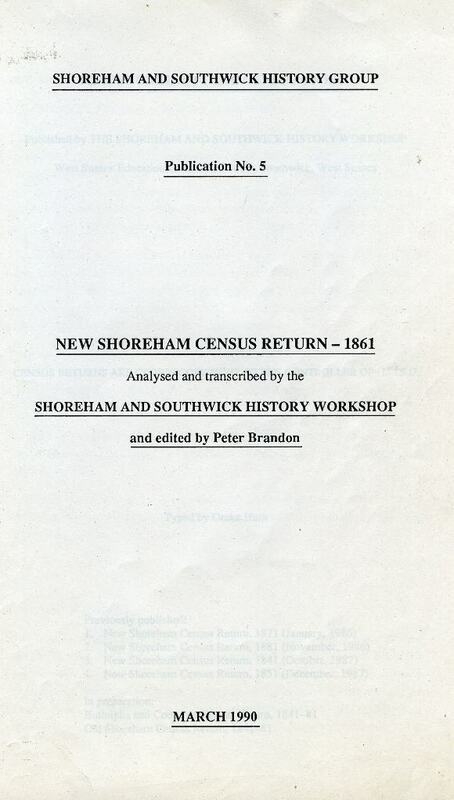 What I will need soon will be photos of late 19 th century oyster smacks, oyster beds in Shoreham and Southwick. 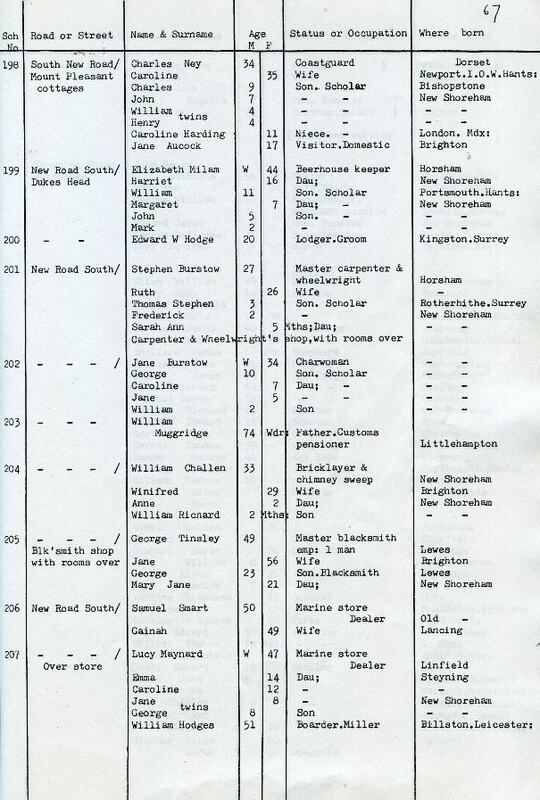 I have picture of ketch GEM from Cheal’s book, and one of beds near Norfolk Bridge. 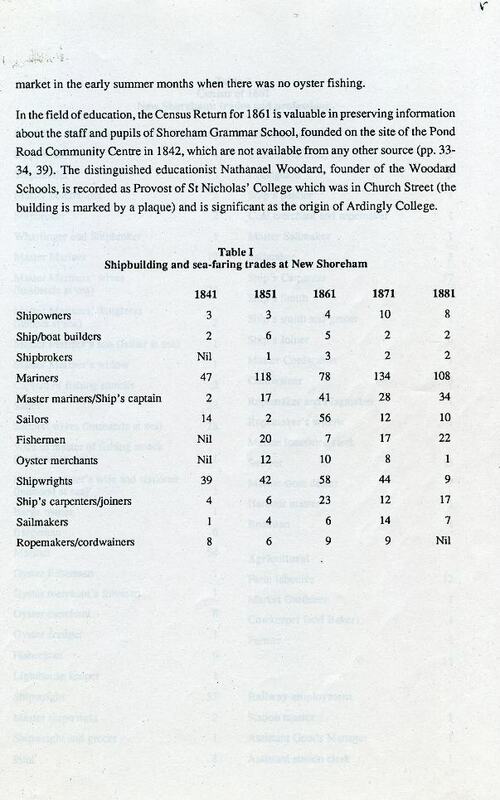 There are plenty of pics of larger sailing ships, but nobody seems to worry about the fishing smacks – a shame, as the oyster industry made as big a contribution to Shoreham as shipbuilding.